The most widely celebrated and mysterious crystal skull is the Mitchell-Hedges Skull, for at least two good reasons. First, it is very similar in form to an actual human skull, even featuring a fitted removable jawbone. Most known crystal skulls are of a more stylized structure, often with unrealistic features and teeth that are simply etched onto a single skull piece. Second, it is impossible to say how the Mitchell-Hedges skull was constructed. From a technical standpoint, it appears to be an impossible object which today's most talented sculptors and engineers would be unable to duplicate. 9-11-09 - DREAM - I was laying in bed sleeping with newspapers folded so that the headlines were showing at regular intervals all over the bed covering the blanket I was sleeping under. When I got out of bed, I knew that this all had to be preserved just as it was. I went into the livingroom and on the sofa sat a very old grandmother covered in two very large and heavy afghans I had made that were multicolored. The afghans weren't quite square on her lap and she didn't really need two to keep warm so I took one off of her and folded it into a square and set it next to her on the sofa, Then as she sat there, I slid the folded afghan onto her lap and removed the second afghan and folded that into a square and set that one on the sofa next to her. She asked me when all this started. I can't remember what I answered. What I didn't figure out was the meaning of the afghans I made for the grandmother. In real life, I knit and crochet afghans almost constantly and have for years. Something that Joe Mason said yesterday rather rings a bell with me. He said that Pallas Athena is the goddess of 'weaving'. Interestingly enough, in a meditation last week, a spirit called me Pallas. I'm still wondering about that connection. Mayan: Ixchel of Fertility — As a mother goddess she was the inventor of sewing, and was portrayed as the Weaver of the World. As a wise crone she was the storm-bringer who transformed and cleansed the earth. She also appears in her moon maiden aspect with her fecund rabbit companion. This traditional image of the highland Maya peoples of Guatemala is associated with crop (especially corn) fertility, and with safety for women during childbirth. The wind blows through the trees when the elders raise their arms. as if directed by the elder. It is very impressive. Each skull contains 1,000 years of history. There are now 13 skulls which must be gathered together. The grandmother's job was to choose a crystal to make it into a human skull shape, the the grandmother would select a man or a woman or both for othe ceremony. Once the grandmother selected the person for this ceremony, the person would be chosen at birth and would study all their lives for the Mayan knowledge, and he would become a shaman in his trianing. Then the grandmother prepared the crystal skull ceremony. That would seal the knowledge for another 1,000 years. Drunvalo tells us that Native Americans have 'grandmother' societies. The crystal skull at the British Museum, similar in dimensions to the more detailed Mitchell-Hedges skull. The crystal skulls are a number of human skull models fashioned from blocks of clear or milky quartz crystal rock, claimed to be pre-Columbian Mesoamerican artifacts by their alleged finders. However, none of the specimens made available for scientific study were authenticated as pre-Columbian in origin. The results of these studies demonstrated that those examined were manufactured in the mid-19th century or later, almost certainly in Europe. Despite some claims presented in an assortment of popularizing literature, legends of crystal skulls with mystical powers do not figure in genuine Mesoamerican or other Native American mythologies and spiritual accounts. The skulls are often claimed to exhibit paranormal phenomena by some members of the New Age movement, and have often been portrayed as such in fiction. Perhaps the most widely known of such portrayals occurs in the 2008 film Indiana Jones and the Kingdom of the Crystal Skull. Crystal skulls have been a popular subject appearing in numerous sci-fi television series, novels, and video games. A distinction has been made by some modern researchers between the smaller bead-sized crystal skulls, which first appear in the mid-19th century, and the larger (approximately life-sized) skulls that appear toward the end of that century. The larger crystal skulls have attracted nearly all the popular attention in recent times, and researchers believe that all of these have been manufactured as forgeries in Europe. Trade in fake pre-Columbian artifacts developed during the late 19th century to the extent that in 1886 Smithsonian archaeologist William Henry Holmes wrote an article called "'The Trade in Spurious Mexican Antiquities"' for Science. Although museums acquired skulls earlier, it was Eugène Boban, an antiquities dealer who opened his shop in Paris in 1870, who is most associated with 19th-century museum collections of crystal skulls. Most of Boban's collection, including three crystal skulls, was sold to the ethnographer Alphonse Pinart, who donated the collection to the Trocadéro Museum, which later became the Musée de l'Homme. Many crystal skulls are claimed to be pre-Columbian, usually attributed to the Aztec or Maya civilizations. Mesoamerican art has numerous representations of skulls, but none of the skulls in museum collections come from documented excavations. Research carried out on several crystal skulls at the British Museum in 1967, 1996 and again in 2004 has shown that the indented lines marking the teeth (for these skulls had no separate jawbone, unlike the Mitchell-Hedges skull) were carved using jeweler's equipment (rotary tools) developed in the 19th century, making a supposed pre-Columbian origin problematic. The type of crystal was determined by examination of chlorite inclusions, and is only to be found in Madagascar and Brazil, and thus unobtainable or unknown within pre-Columbian Mesoamerica. The study concluded that the skulls were crafted in the 19th century in Germany, quite likely at workshops in the Bavarian town of Idar-Oberstein renowned for crafting objects made from imported Brazilian quartz at this period in the late 19th century. It has been established that both the British Museum and Paris's Musée de l'Homme crystal skulls were originally sold by the French antiquities dealer Eugène Boban, who was operating in Mexico City between 1860 and 1880. The British Museum crystal skull transited through New York's Tiffany's, whilst the Musée de l'Homme's crystal skull was donated by Alphonse Pinart, an ethnographer who had bought it from Boban. An investigation carried out by the Smithsonian Institution in 1992 on a crystal skull provided by an anonymous source who claimed to have purchased it in Mexico City in 1960 and that it was of Aztec origin concluded that it, too, was made in recent years. According to the Smithsonian, Boban acquired the crystal skulls he sold from sources in Germany – findings that are in keeping with those of the British Museum. A detailed study of the British Museum and Smithsonian crystal skulls was accepted for publication by the Journal of Archaeological Science in May 2008. Using electron microscopy and X-ray crystallography, a team of British and American researchers found that the British Museum skull was worked with a harsh abrasive substance such as corundum or diamond, and shaped using a rotary disc tool made from some suitable metal. The Smithsonian specimen had been worked with a different abrasive, namely the silicon-carbon compound carborundum which is a synthetic substance manufactured using modern industrial techniques. Since the synthesis of carborundum dates only to the 1890s and its wider availability to the 20th century, the researchers concluded "[t]he suggestion is that it was made in the 1950s or later". None of the skulls in museums come from documented excavations. A parallel example is provided by obsidian mirrors, ritual objects widely depicted in Aztec art. Although a few surviving obsidian mirrors come from archaeological excavations, none of the Aztec-style obsidian mirrors are so documented. Yet most authorities on Aztec material culture consider the Aztec-style obsidian mirrors as authentic pre-Columbian objects. Archaeologist Michael E. Smith reports a non peer-reviewed find of a small crystal skull at an Aztec site in the Valley of Mexico. Crystal skulls have been described as "A fascinating example of artifacts that have made their way into museums with no scientific evidence to prove their rumored pre-Columbian origins. Until any crystal skulls are reported in peer-reviewed papers describing their excavation, Occam's Razor suggests that all of them are fabrications." Perhaps the most famous and enigmatic skull was allegedly discovered in 1924 by Anna Le Guillon Mitchell-Hedges, adopted daughter of British adventurer and popularist author F.A. Mitchell-Hedges. It is the subject of a video documentary made in 1990, Crystal Skull of Labaantun. It has been noted upon examination by Smithsonian researchers to be "very nearly a replica of the British Museum skull--almost exactly the same shape, but with more detailed modeling of the eyes and the teeth." Anna Hedges claimed that she found the skull buried under a collapsed altar inside a temple in Lubaantun, in British Honduras, now Belize. As far as can be ascertained, F.A. Mitchell-Hedges himself made no mention of the alleged discovery in any of his writings on Lubaantun. Also, others present at the time of the excavation have not been documented as noting either the skull's discovery or Anna's presence at the dig. In a 1970 letter, Anna also stated that she was "told by the few remaining Maya, and was used by the high priest to will death". The artifact is sometimes referred to as "The Skull of Doom", either because of its seemingly inexplicable properties and the supposed ill-luck of those who have handled it, or perhaps a play on 'Skull of Dunn' (Dunn being an associate of Mitchell-Hedges). Anna Mitchell-Hedges toured with the skull from 1967 exhibiting it on a pay-per-view basis, and continued to give interviews about the artifact until her death in 2007. The skull is made from a block of clear quartz about the size of a small human cranium, measuring some 5 inches (13 cm) high, 7 inches (18 cm) long and 5 inches wide. The lower jaw is detached. In the early 1970s it came under the temporary care of freelance art restorer Frank Dorland, who claimed upon inspecting it that it had been "carved" with total disregard to the natural crystal axes without the use of metal tools. Dorland reported being unable to find any tell-tale scratch marks, except for traces of mechanical grinding on the teeth, and speculated it was first chiseled into rough form, probably using diamonds, and the finer shaping, grinding and polishing achieved through the use of sand over a period of 150 to 300 years. Although various claims have been made over the years regarding the skull's physical properties, such as an allegedly constant temperature of 70°F (21°C), Dorland reported that there was no difference in properties between it and other natural quartz crystals. While in Dorland's care the skull came to the attention of writer Richard Garvin, at the time working at an advertising agency where he supervised Hewlett-Packard's advertising account. Garvin made arrangements for the skull to be examined at HP's crystal labs at Santa Clara, where it was subjected to several tests. The labs determined only that it was not a composite (as Dorland had supposed), but was fashioned from a single crystal of quartz. The lab test also established that the lower jaw had been fashioned from the same left-handed growing crystal as the rest of the skull. No investigation was made by HP as to its method of manufacture or dating. As well as the traces of mechanical grinding on the teeth noted by Dorland, Mayanist archaeologist Norman Hammond reported that the holes (presumed to be intended for support pegs) showed signs of being made by drilling with metal. Anna Mitchell-Hedges refused subsequent requests to submit the skull to further scientific testing. F. A. Mitchell-Hedges mentioned the skull only briefly in the first edition of his autobiography, Danger My Ally (1954), without specifying where or by whom it was found. He merely claimed that "it is at least 3,600 years old and according to legend was used by the High Priest of the Maya when performing esoteric rites. It is said that when he willed death with the help of the skull, death invariably followed". All subsequent editions of Danger My Ally omitted mention of the skull entirely. The earliest published reference to the skull is the July 1936 issue of the British anthropological journal Man, where it is described as in the possession of Mr. Sydney Burney, a London art dealer said to have owned it since 1933. No mention was made of Mitchell-Hedges. There is documentary evidence that Mitchell-Hedges bought it from Burney in 1944. The skull was in the custody of Anna Mitchell-Hedges, the adopted daughter of Frederick. She steadfastly refused to let it be examined by experts (making very doubtful the claim that it was reported on by R. Stansmore Nutting in 1962). Somewhere between 1988–1990 Anna Mitchell-Hedges toured with the skull. In her last eight years, Anna Mitchell-Hedges lived in Chesterton, Indiana, with Bill Homann, whom she married in 2002. She died on April 11, 2007. Since that time the Mitchell-Hedges Skull has been in the custody of Bill Homann. In April 2009, Five, a television channel, took the story and revealed that the Mitchell-Hedges Skull, recently tested under a special microscope in the Smithsonian Institution, had been manufactured with tools that Aztecs and Mayans simply did not have. Like the other skulls, this one is a fabrication dating from the second half of the 19th century. Bill Homann however continues to believe in its mystical properties. The crystal skull of the British Museum first appeared in 1881, in the shop of the Paris antiquarian, Eugène Boban. Its origin was not stated in his catalog of the time. He is said to have tried to sell it to Mexico's national museum as an Aztec artifact, but was unsuccessful. Boban later moved his business to New York City, where the skull was sold to George H. Sisson. It was exhibited at the meeting of the American Association for the Advancement of Science in New York City in 1887 by George F. Kunz. It was sold at auction, and bought by Tiffany and Co., who later sold it at cost to the British Museum in 1897. This skull is very similar to the Mitchell-Hedges skull, although it is less detailed and does not have a movable lower jaw. The British Museum catalogs the skull's provenance as "probably European, 19th century AD" and describes it as "not an authentic pre-Columbian artefact". It has been established that this skull was made with modern tools, and that it is not authentic. The largest of the three skulls sold by Eugène Boban to Alphonse Pinart (sometimes called the Paris Skull), about 10 cm (4 in) high, has a hole drilled vertically through its center. It is part of a collection held at the Musée du Quai Branly, and was subjected to scientific tests carried out in 2007–08 by France's national Centre de recherche et de restauration des musées de France (Centre for Research and Restoration of the Museums in France, or C2RMF). After a series of analyses carried out over three months, C2RMF engineers concluded that it was "certainly not pre-Columbian, it shows traces of polishing and abrasion by modern tools." Particle accelerator tests also revealed occluded traces of water that were dated to the 19th century, and the Quai Branly released a statement that the tests "seem to indicate that it was made late in the 19th century." In 2009 the C2RMF researchers published results of further investigations to establish when the Paris skull had been carved. Scanning electron microscopy (SEM) analysis indicated the use of lapidary machine tools in its carving. The results of a new dating technique known as quartz hydration dating (QHD) demonstrated that the Paris skull had been carved later than a reference quartz specimen artefact, known to have been cut in 1740. The researchers conclude that the SEM and QHD results combined with the skull's known provenance indicate it was carved in the 18th or 19th century. The Smithsonian skull was mailed to the Smithsonian anonymously in 1992, and was claimed to be an Aztec object by its donor and was purportedly from the collection of Porfirio Diaz. It is the largest of the skulls, weighing 31 pounds and is 15 inches high. It was carved using carborundum, a modern abrasive. It has been displayed as a fake at the National Museum of Natural History. Some believers in the paranormal claim that crystal skulls can produce a variety of miracles. Ann Mitchell-Hedges claimed that the skull she allegedly discovered could cause visions, cure cancer, that she once used its magical properties to kill a man, and that in another instance, she saw in it a premonition of the John F. Kennedy assassination. In the 1931 play The Satin Slipper, by Paul Claudel, King Philip II of Spain uses "a death's head made from a single piece of rock crystal," lit by "a ray of the setting sun," to see the defeat of his Armada in its attack on England (day 4, scene 4, pp. 243-44). Claims of the healing and supernatural powers of crystal skulls have no support in the scientific community, which has found no evidence of any unusual phenomena associated with the skulls nor any reason for further investigation, other than the confirmation of their provenance and method of manufacture. Another novel and historically unfounded speculation ties in the legend of the crystal skulls with the completion of the current Maya calendar b'ak'tun-cycle on December 21, 2012, claiming the re-uniting of the thirteen mystical skulls will forestall a catastrophe allegedly predicted or implied by the ending of this calendar. An airing of this claim appeared (among an assortment of others made) in The Mystery of the Crystal Skulls, a 2008 program produced for the Sci Fi Channel in May and shown on Discovery Channel Canada in June. Interviewees included Richard Hoagland, who attempted to link the skulls and the Maya to life on Mars, and David Hatcher Childress, proponent of lost Atlantean civilizations and anti-gravity claims. Crystal skulls are also referenced by author Drunvalo Melchizedek in his book Serpent of Light. He writes that he came across indigenous Mayan descendants in possession of crystal skulls at ceremonies at temples in the Yucatan, which he writes contained souls of ancient Mayans who had entered the skulls to await the time when their ancient knowledge would once again be required. The book is a log of the authors experiences, which are related in a manner requiring suspension of judgment. By the 1970s, the crystal skulls [had] entered New Age mythology as potent relics of ancient Atlantis, and they even acquired a canonical number: there were exactly thirteen skulls. None of this would have anything to do with North American Indian matters, if the skulls had not attracted the attention of some of the most active New Age writers. "Crystal Skull", episode 21 of Season 3 in the fictional TV series Stargate SG-1. The plot involves a Crystal Skull found on another planet, the backstory references a Crystal Skull found in South America in the 1960s, with a legend that staring into it would allow you to see aliens from another planet. ^ Aldred (2000, passim. ); Jenkins (2004, pp.218–219). In this latter work, Philip Jenkins, former Distinguished Professor of History and Religious Studies and latterly an endowed Professor of Humanities at PSU, writes that crystal skulls are among the more obvious of examples where the association with Native spirituality is a "historically recent" and "artificial" synthesis. These are "products of a generation of creative spiritual entrepreneurs" that do not "[represent] the practice of any historical community". ^ For example, in Stargate SG-1 season 3 episode #65, "Crystal Skull". ^ See for example the Indiana Jones novels by Max McCoy (1995, 1996, 1997, 1999). ^ For example, the video game Legend of the Crystal Skull and Illusion of Gaia. ^ See reportage of the study in Rincon (2008), and the study itself in Sax et al. (2008). ^ Such as at Teotihuacan; see Taube (1992). ^ See for eg Olivier (2003). ^ "Smithsonian puts its fake- crystal skull- on display". San Francisco Chronicle (July 18). 2008. http://www.sfgate.com/cgi-bin/article.cgi?f=/c/a/2008/07/11/DDV111N1T2.DTL. Retrieved 2008-09-21. ^ "Crystal Skull of Labaantun (1990)". http://movies.nytimes.com/movie/11717/Crystal-Skull-of-Lubaantun/overview?scp=6&sq=%22crystal%20skull%22&st=cse. Retrieved 2008-07-20. ^ Walsh (2008). See also the 1936 debate on its resemblance to the British Museum skull, in Digby (1936) and Morant (1936), passim. ^ See Garvin (1973, caption to photo 25); also Nickell (2007, p.67). ^ Dorland, in a May 1983 letter to Joe Nickell, cited in Nickell (2007, p.70). ^ See Garvin (1973, pp.75–76), also Hewlett-Packard (1971, p.9). The test conducted involved immersing the skull in a liquid (Benzyl alcohol) with the same diffraction coefficient and viewing it under polarized light. ^ Garvin (1973, pp.75–76); Hewlett-Packard (1971, p.9). ^ Garvin (1973, p.84); also cited in Nickell (2007, p.70). ^ Hammond, in a May 1983 letter to Nickell, cited in Nickell (2007, p.70). See also Hammond's recounting of his meeting with Anna Mitchell-Hedges and the skull in an article written for The Times, in Hammond (2008). ^ See Mitchell-Hedges (1954, pp.240–243); also description of same in the chapter "Riddle of the Crystal Skulls", in Nickell (2007, pp.67–73). ^ Mitchell-Hedges' quote, as reproduced in Nickell (2007, p.67). ^ See Morant (1936, p.105), and comments in Digby (1936). See also discussion of the prior ownership in Nickell (2007, p.69). ^ Stelzer, C.D. (2008-06-12). "The kingdom of the crystal skull". Illinois Times. http://www.illinoistimes.com/gyrobase/Content?oid=oid:7678. Retrieved 2009-02-08. ^ "A Great Labor Problem. It Receives Attention from the Scientists. They devote attention, too, to a beautiful adze and a mysterious crystal skull.". New York Times (August 13). 1887. http://query.nytimes.com/mem/archive-free/pdf?_r=1&res=9803E5D71430E633A25750C1A96E9C94669FD7CF&oref=slogin. Retrieved 2008-07-17. ^ British Museum (n.d.-c). See also articles on the investigations which established it to be a fake, in Connor (2005), Jury (2005), Smith (2005), and Walsh (1997, 2008). ^ Kunz (1890, pp.285–286), see description in "Ch. XIV: Mexico & Central America"
^ Quote reported by Agence France-Presse, see Rosemberg (2008). ^ Quote reported by Agence France-Presse, see Rosemberg (2008). See also Walsh (2008). ^ "Smithsonian Puts Mysterious Crystal Skull on Display". http://www.foxnews.com/story/0,2933,378923,00.html. Retrieved 7-10-2008. ^ Various authors. "The Crystal Skulls" Skeptic magazine. Vol. 14, No. 2. 2008. Page 89. ^ Claudel, Paul. The Satin Slipper. Trans. John O'Connor and Paul Claudel. London: Sheed & Ward, 1931. Originally published as Le Soulier de Satin (Paris: Nouvelle Revue Française). ^ See Nickell (2007, pp.67–73); Smith (2005); Walsh (1997; 2008). ^ John Schriber (Executive Producer). Kevin Huffman, Erin McGarry, Andrew Rothstein and Andrea Skipper (Producers). Jayme Roy (Director of Photography). Lester Holt (Presenter). (May 2008) The Mystery of the Crystal Skulls [television program]. New York: Peacock Productions (NBC), in association with the Sci Fi Channel. URL accessed on 2008-06-06. ^ See discussion of the various claims put forward by Sams, Kenneth Meadows, Harley Swift Deer Reagan and others concerning crystal skulls, extra-terrestrials, and Native American lore, in Jenkins (2004, pp.215–218). ^ Quotation from Jenkins (2004, pp.217–218). Aldred, Lisa (Summer 2000). "Plastic Shamans and Astroturf Sun Dances: New Age Commercialization of Native American Spirituality". American Indian Quarterly (Lincoln: University of Nebraska Press) 24 (3): pp.329–352. ISSN 0095-182X. OCLC 184746956. http://www.jstor.org/stable/1185908. British Museum (n.d.-a). "Rock crystal skull". Explore: Highlights. Trustees of the British Museum. http://www.britishmuseum.org/explore/highlights/highlight_objects/aoa/r/rock_crystal_skull.aspx. Retrieved 2008-04-22. British Museum (n.d.-b). "Study of two large crystal skulls in the collections of the British Museum and the Smithsonian Institution". Explore: Articles. Trustees of the British Museum. http://www.britishmuseum.org/explore/highlights/article_index/s/studying_two_crystal_skulls.aspx. Retrieved 2008-04-22. British Museum (n.d.-c). "The crystal skull". News and press releases: Statements. Trustees of the British Museum. http://www.britishmuseum.org/the_museum/news_and_press_releases/statements/the_crystal_skull.aspx. Retrieved 2008-04-14. Calligaro, Thomas; Yvan Coquinot, Ina Reiche, Jacques Castaing, Joseph Salomon, Gerard Ferrand, and Yves Le Fur (March 2009). "Dating study of two rock crystal carvings by surface microtopography and by ion beam analyses of hydrogen". Applied Physics A: Materials Science & Processing (Berlin: Springer Verlag) 94 (4): pp.871-878. doi:10.1007/s00339-008-5018-9. ISSN 0947-8396. OCLC 311109270. Connor, Steve (2005-01-07). "The mystery of the British Museum's crystal skull is solved. It's a fake". The Independent (London: Independent News & Media). http://www.independent.co.uk/news/uk/this-britain/the-mystery-of-the-british-museums-crystal-skull-is-solved-its-a-fake-495587.html. Retrieved 2008-04-13. Craddock, Paul (2009). Scientific Investigation of Copies, Fakes and Forgeries. Oxford, UK and Burlington, MA: Butterworth-Heinemann. ISBN 978-0-7506-4205-7. OCLC 127107601. Digby, Adrian (July 1936). "Comments on the Morphological Comparison of Two Crystal Skulls". Man (London: Royal Anthropological Institute of Great Britain and Ireland) 36: 107–109. doi:10.2307/2789342. ISSN 0025-1496. OCLC 42646610. Garvin, Richard (1973). The Crystal Skull: The Story of the Mystery, Myth and Magic of the Mitchell-Hedges Crystal Skull Discovered in a Lost Mayan City During a Search for Atlantis. New York: Doubleday. ISBN 0385094566. OCLC 553587. Hammond, Norman (2008-04-28). "Secrets of the crystal skulls are lost in the mists of forgery". The Times (London: News International). http://www.timesonline.co.uk/tol/life_and_style/court_and_social/article3834827.ece. Retrieved 2008-08-24. Hewlett-Packard (magazine editorial staff) (February 1971). "History or hokum? Santa Clara's crystals lab helps tackle the case of the hard-headed Honduran..." (PDF online facsimile at HParchive). Measure (staff magazine) (Palo Alto, CA: Hewlett-Packard): 8–10. http://www.hparchive.com/measure_magazine/HP-Measure-1971-02-pdf. Retrieved 2008-04-11. Hidalgo, Pablo (2008-04-07). "The Lost Chronicles of Young Indiana Jones". StarWars.com. http://www.starwars.com/community/news/films/f20080407/indexp3.html. Retrieved 2008-05-03. Holmes, William H. (1886-02-19). "The trade in spurious Mexican antiquities". Science, new series (Cambridge, MA: The Science Company, and Moses King) ns-7 (159S): 170–172. doi:10.1126/science.ns-7.159S.170. ISSN 0036-8075. OCLC 213776464. PMID 17787662. Hruby, Zachary (May 2008). "Critical Notes on "Indiana Jones and the Kingdom of the Crystal Skull"". Mesoweb Reports & News. Mesoweb. http://www.mesoweb.com/reports/indy.html. Retrieved 2008-06-01. Jenkins, Philip (2004). Dream Catchers: How Mainstream America Discovered Native Spirituality. Oxford and New York: Oxford University Press. ISBN 0-19-516115-7. OCLC 54074085. Jury, Louise (2005-05-24). "Art market scandal: British Museum expert highlights growing problem of fake antiquities". The Independent (London: Independent News & Media). http://www.independent.co.uk/news/uk/this-britain/art-market-scandal-british-museum-expert-highlights-growing-problem-of-fake-antiquities-491906.html. Retrieved 2008-04-13. Kelly, Jim (n.d.). "A brief history of SiC". Industrial Materials Group, University College London. http://img.chem.ucl.ac.uk/www/kelly/moissanite.htm. Retrieved 2008-05-23. Kunz, George Frederick (1890) (online facsimile). Gems and precious stones of North America: A popular description of their occurrence, value, history, archæology, and of the collections in which they exist, also a chapter on pearls, and on remarkable foreign gems owned in the United States. Illustrated with eight colored plates and numerous minor engravings. New York: The Scientific Publishing Company. OCLC 3257032. http://www.farlang.com/gemstones/kunz_gems_and_precious_stones/page_001. McCoy, Max (1995). Indiana Jones and the Philosopher's Stone. New York: Bantam Books. ISBN 978-0-553-56196-8. OCLC 32417516. McCoy, Max (1996). Indiana Jones and the Dinosaur Eggs. New York: Bantam Books. ISBN 978-0-553-56193-7. OCLC 34306261. http://www.randomhouse.com/bantamdell/catalog/display.pperl?isbn=9780553561937. McCoy, Max (1997). Indiana Jones and the Hollow Earth. New York: Bantam Books. ISBN 978-0-553-56195-1. OCLC 36380785. http://www.randomhouse.com/bantamdell/catalog/display.pperl?isbn=9780553561951. McCoy, Max (1999). Indiana Jones and the Secret of the Sphinx. New York: Bantam Books. ISBN 978-0-553-56197-5. OCLC 40775168. http://www.randomhouse.com/bantamdell/catalog/display.pperl?isbn=9780553561975. Mitchell-Hedges, F.A. (1954). Danger My Ally. London: Elek Books. OCLC 2117472. Morant, G.M. (July 1936). "A Morphological Comparison of Two Crystal Skulls". Man (London: Royal Anthropological Institute of Great Britain and Ireland) 36: 105–107. doi:10.2307/2789341. ISSN 0025-1496. OCLC 42646610. Nickell, Joe (2007). Adventures in Paranormal Investigation. Lexington: University Press of Kentucky. ISBN 978-0-8131-2467-4. OCLC 137305722. Olivier, Guilhem (2003). Mockeries and Metamorphoses of an Aztec God: Tezcatlipoca, "Lord of the Smoking Mirror". Michel Besson (trans.) (Translation of: Moqueries et métamorphoses d’un dieu aztèque (Paris : Institut d'ethnologie, Musée de l'homme, ©1997) ed.). Boulder: University Press of Colorado. ISBN 0-87081-745-0. OCLC 52334747. Rincon, Paul (2008-05-22). "Crystal skulls 'are modern fakes'". Science/Nature. BBC News online. http://news.bbc.co.uk/1/hi/sci/tech/7414637.stm. Retrieved 2008-05-22. Rosemberg, Claire (2008-04-18). "Skullduggery, Indiana Jones? Museum says crystal skull not Aztec". AFP. http://afp.google.com/article/ALeqM5i0MtZtshBPW5OUhodfTDezFkR5_Q. Retrieved 2008-04-22. Sax, Margaret; Jane M. Walsh, Ian C. Freestone, Andrew H. Rankin, and Nigel D. Meeks (October 2008). "The origin of two purportedly pre-Columbian Mexican crystal skulls". Journal of Archaeological Science (London: Elsevier Science) 35 (10): 2751–2760. doi:10.1016/j.jas.2008.05.007. ISSN 1095-9238. OCLC 36982975. Smith, Donald (2005). "With a high-tech microscope, scientist exposes hoax of 'ancient' crystal skulls" (online edition). Inside Smithsonian Research (Washington, DC: Smithsonian Institution Office of Public Affairs) 9 (Summer). OCLC 52905641. http://www.si.edu/opa/insideresearch/articles/V9_CrystalSkulls.html. Retrieved 2008-04-14. Taube, Karl A. (1992). "The iconography of mirrors at Teotihuacan". in Janet Catherine Berlo (ed.). Art, Ideology, and the City of Teotihuacan: A Symposium at Dumbarton Oaks, 8th and 9th October 1988. Washington DC: Dumbarton Oaks Research Library and Collection. pp. 169–204. ISBN 0-88402-205-6. OCLC 25547129. Walsh, Jane MacLaren (1997). "Crystal skulls and other problems: or, “don't look it in the eye”". in Amy Henderson and Adrienne L. Kaeppler (eds.). Exhibiting Dilemmas: Issues of Representation at the Smithsonian. Washington, DC: Smithsonian Institution Press. ISBN 1560986905. OCLC 34598037. Walsh, Jane MacLaren (Spring 2005). "What is Real? A New Look at PreColumbian Mesoamerican Collections" (PDF online publication). AnthroNotes: Museum of Natural History Publication for Educators (Washington, DC: Smithsonian Institution and the National Museum of Natural History Anthropology Outreach Office) 26 (1): 1–7,17–19. ISSN 1548-6680. OCLC 8029636. http://www.anthropology.si.edu/outreach/anthnote/anthronotes_2005spring.pdf. Walsh, Jane MacLaren (May/June 2008). "Legend of the Crystal Skulls" (online edition). Archaeology (New York: Archaeological Institute of America) 61 (3): 36–41. ISSN 0003-8113. OCLC 1481828. http://www.archaeology.org/0805/etc/indy.html. Retrieved 2008-04-16. Mitchell-Hedges Official website Biography of Anna Mitchell-Hedges and account of the discovery of the skull. Skulls are humanity's foremost symbol of death, and a powerful icon in the visual vocabularies of cultures all over the globe. Thirteen crystal skulls of apparently ancient origin have been found in parts of Mexico, Central America and South America, comprising one of the most fascinating subjects of 20th Century archaeology. These skulls, found near the ancient ruins of Mayan and Aztec civilizations (with some evidence linking the skulls with past civilization in Peru) are a mystery as profound as the Pyramids of Egypt, the Nazca Lines of Peru, or Stonehenge. Some of the skulls are believed to be between 5,000 and 36,000 years old. Many indigenous people speak of their remarkable magical and healing properties, but nobody really knows where they came from or what they were used for. Were they left behind after the destruction of a previous world, such as Atlantis? Are they simply ingenious modern fakes or can they really enable us to see deeply into the past and predict the future? Much research is currently being done on the skulls. However, their origin is still a baffling mystery. They seem to defy logic. Everything that is known about lapidary work indicates that the skulls should have been shattered fractured, or fallen apart when carved. This report examines the known history of crystal skulls, various viewpoints on where they might have came from, and the secrets they may reveal. The discovery of this baffling artifact is a controversial matter. It was brought into prominence by British explorer F. A. Mitchell-Hedges, who claimed that his daughter unearthed it in 1924. Mitchell-Hedges led an expedition in the ancient Mayan ruins of Lubaantun, in Belize (then British Honduras), searching for evidence of Atlantis. The story goes that his daughter, Anna, was rummaging inside a structure believed to have once been a temple, when she found the beautifully carved cranium of the crystal skull. It was lacking its jawbone, but the matching mandible was found three months later, some 25 feet away from the first discovery. Mitchell-Hedges claimed that he refused to take the skull away, and offered it to the local priests, but the Mayans gave the skull back to him as a gift upon his departure. It now appears that this tale of the skull's discovery was entirely fabricated. Mitchell-Hedges apparently purchased the skull at an auction at Sothebys in London, in 1943. This has been verified by documents at the British Museum, which had bid against Mitchell-Hedges for the crystal artifact. This revelation is consistent with the known history of Mitchell-Hedges's involvement with the skull. There are no photographs of the skull among those that were taken during his Lubaatun expedition, and there is no documentation of Mitchell-Hedges displaying or even acknowledging the skull prior to 1943. The skull remains in the possession of the octogenarian Anna Mitchell-Hedges. She resides in Canada and displays the skull on frequent tours. Anna has maintained for all these years that she discovered the skull, even though there is reason to doubt that she was present at the Lubaatun expedition at all. To compound the strangeness, HP could find no microscopic scratches on the crystal which would indicate it had been carved with metal instruments. Dorland's best hypothesis for the skull's construction is that it was roughly hewn out with diamonds, and then the detail work was meticulously done with a gentle solution of silicon sand and water. The exhausting job -- assuming it could possibly be done in this way -- would have required man-hours adding up to 300 years to complete. Under these circumstances, experts believe that successfully crafting a shape as complex as the Mitchell-Hedges skull is impossible; as one HP researcher is said to have remarked, "The damned thing simply shouldn't be." There is a pair of similar skulls known as the British Crystal Skull and the Paris Crystal Skull. Both are said to have been bought by mercenaries in Mexico in the 1890s, possibly at the same time. They are so similar in size and shape that some have guessed that one was copied to produce the other. 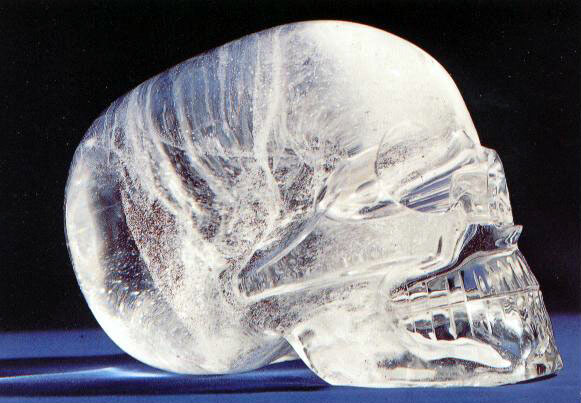 In comparison to the Mitchell-Hedges skull, they are made of cloudier clear crystal and are not nearly as finely sculpted. The features are superficially etched and appear incomplete, without discretely formed jawbones. The British Crystal Skull is on display at London's Museum of Mankind, and the Trocadero Museum of Paris houses the Paris Crystal Skull. It is currently residing in the British Museum of Man in London, England, and has been there since 1898. It is a one piece clear quartz full size quartz crystal skull. You may notice a slight indentation on the top, which is a hole that was cut into the skull purported to hold a cross. Further examples of primitively sculpted skulls are a couple called the Mayan Crystal Skull and the Amethyst Skull. They were discovered in the early 1900s in Guatemala and Mexico, respectively, and were brought to the U.S. by a Mayan priest. The Amethyst Skull is made of purple quartz and the Mayan skull is clear, but the two are otherwise very alike. Like the Mitchell-Hedges skull, both of them were studied at Hewlett-Packard, and they too were found to be inexplicably cut against the axis of the crystal. A skull known as "Max," or the Texas Crystal Skull, is a single-piece, clear skull weighing 18 pounds. It reportedly originated in Guatemala, then passed from a Tibetan spiritualist to JoAnn Parks of Houston, Texas. The Parks family allows visitors to observe Max and they display the skull at various exhibitions across the U.S.
"ET" is a smoky quartz skull found in the early 20th Century in Central America. It was given its nickname because its pointed cranium and exaggerated overbite make it look like the skull of an alien being. ET is part of the private collection of Joke Van Dietan, who tours with her skulls to share the healing powers she believes they possess. The only known crystal skull that comes close to resembling the Mitchell-Hedges skull is one called the Rose Quartz Crystal Skull, which was reported near the border of Honduras and Guatemala. It is not clear in color and is slightly larger than the Mitchell-Hedges, but boasts a comparable level of craftsmanship, including a removable mandible. Origin Theories: Celestial Gifts or Skullduggery? Regardless of any unearthly properties the crystal skulls may or may not possess, the question remains: where did they come from? There are countless hypotheses that they are the legacy of some higher intelligence. Many believe they were created by extraterrestrials or beings in Atlantis or Lemuria. One elaborate theory maintains that the skulls were left behind by a sophisticated Inner Earth society which lives at the hollow center of our planet, and there are thirteen "master skulls" which contain the history of these people. The most obvious answer to the mystery is that native artisans in Latin America or elsewhere crafted the skulls themselves. The Mayans are most often associated with them, although some doubt that they could have made the skulls, and not simply because of the technical conundrum the job poses. One theory holds the Aztecs as a more likely candidate to have created them. Skull imagery figures prominently in Aztec art and religious symbols, and not in that of the Mayans. The Aztecs were also more highly skilled in sculpting with crystal. It could be that the skulls found in Mayan ruins are actually displaced Aztec relics... or, as some suspect, this incongruity may indicate that some accounts of the skulls' origins are phony. Many skeptics feel that the crystal skulls are probably of a much more recent vintage than their accompanying stories suggest. This, they believe, is the best way to explain their existence, since no one could have created them without technologies available only within the past century. Since carbon-dating only works on organic substances, it is impossible to determine just how old a crystal skull is. But one recent study found reasonable signs of some skulls' relative youth. A May broadcast of the BBC documentary series "Everyman" reported on studies of a number of crystal skulls and other artifacts of supposedly ancient origin conducted at the British Museum. Using electron microscopes, the researchers found that two of the skulls possessed straight, perfectly-spaced surface markings, indicating the use of a modern polishing wheel. Genuine ancient objects would show haphazard tiny scratches from the hand-polishing process. The report speculated that these skulls were actually made in Germany within the past 150 years. Even the regal Mitchell-Hedges skull is not without scandalous accusations of fraud. Some believe that F.A. Mitchell-Hedges had the piece commissioned by a sculptor, and planted it in the Lubaantun ruins for his daughter to find as a spectacular birthday present. The validity of this charge is uncertain, but even if the Mitchell-Hedges skull is of modern origin, its structure is no less extraordinary. In all likelihood, every crystal skull in the world was fashioned by plain old human beings of some sort, and regardless of whether the work was carried out five years ago or five hundred years ago, we still don't have any idea how they did it. In the realm of ancient artifacts there are few antiquities that are as thought provoking as the carved quartz crystal skulls. Very little is known about these ancient wonders of the world, largely due to the fact that so few of them exist which are accessible to the researcher. In the last few years, interest has risen intensely in these works of antiquity. For many years, when the subject of the crystal skulls was discussed, few people were aware of the fact that the Mitchell- Hedges skull was not the only crystal skull known to man. It may have been the most perfectly carved, even viewed by more people throughout the world than any other skull, but, certainly not the only skull. In fact, there are many skulls in various locations around the world which range in size from a few pounds, or softball sized, to over forty pounds. Only a few crystal skulls have been expertly authenticated as ancient. Many have been carved within the last five years. Presently, the accepted authentication by which a carved skull can be termed ancient is through a complicated process of casting a mold of the skull and placing it under an electron microscope to examine the minute markings left by the carver. These markings are the clues by which the age of the carving is determined. The telltale pattern of the marking will verify what method was used to carve and polish the skull; thereby, the antiquity expert is able to confirm the age based on methods used on other known works which range from the ancient to the very contemporary. By comparing these various methods with those of the crystal skull, a time-line is developed which will place the skull along that line. The widely known Mitchell-Hedges skull, located in Canada, one of the most beautiful skulls I have had the pleasure of seeing, is now shrouded in controversy. It is presently suggested that the skull is not ancient, but a work of more recent times, perhaps orchestrated by F.A. Mitchell-Hedges, himself, to promote interest and financing for his adventures. Coined The Skull of Doom', by some associates of the adventurer, actually a misnomer for a term used in the 1930s, The Skull of Dunn. Dunn was an associate of F.A., on the expedition to Luubantun, in 1927, which is when young Anna Mitchell-Hedges, then age 17, reports she found the skull in the ruins of a temple. The Museum of Man, in London, contains a crystal skull which is called the Aztec Skull. It is no longer on display in that museum. Museum personnel as well as visitors claim the skull moves on its own within the glass case in which it is enclosed. It was acquired by the museum at the turn of the century from an antiquity dealer in New York. The Paris museum of Man also contains a crystal skull called The Aztec Skull, which is no longer on display. Both the Paris Skull, and the British Skull are much smaller than the Mitchell-Hedges skull, and not nearly as perfectly carved or as clear. In more recent times, several quartz crystal skulls have appeared. Some are suggested ancient by their owners. Extensive examinations of these skulls have, however, determined many are not ancient at all. It is not certain as to the origin of these imposters. In the early 1980s, a human-sized quartz crystal skull surfaced in Texas. It was in the possession of Norbu Chen, a Tibetan healer. The skull was given to Carl and Jo Ann Parks to satisfy a debt. The skull was placed in a cosmetic case and stored on the floor of a closet in their Houston home for several years. It was while Jo Ann Parks was watching television that she realized that her skull may be an important artifact. The program was about the Mitchell-Hedges skull, and F.R. Nick Nocerino, a world-renowned expert in crystal skull research, was a guest on the show. After viewing the program, Jo Ann, contacted Nocerino, upon which he traveled to Houston from his home near San Francisco to examine the skull. He determined that the skull was authentic and that it was ancient. He had indeed been aware of the existence of the skull, but had not been able to determine its location. Soon after Nocerino's visit, Jo Ann, after several discussions with the rock, as she fondly referred to it, was told its name was Max. Also in the mid 80s, Joke van Dieten Maasland, who presently resides in Miami Beach, Florida, acquired a smokey quartz crystal skull from a dealer in Los Angeles. It was reported that this skull had been in the possession of a family in Guatemala, whose parents found the skull in1906, while excavating a Mayan Temple. Joke credits the skull, which she calls E.T., as instrumental in a personal healing of a brain tumor. She shares the story in her book, Messengers of Ancient Wisdom. In early 1990, a skull weighing more than 40 pounds, which was carved from rock quartz crystal but hollowed out, was donated to the Smithsonian Institution, in Washington. There was little or no documentation as to its authenticity. Since there was no documentable evidence of the age or origin of the skull, the curator determined not to place the skull in the museum for viewing until its authenticity was established. During a lecture tour in Mexico many years ago, Nocerino was invited to a location in Guerro Provence, to assist in locating the buried ruins of an ancient city. It was during this visit that Nocerino provided the information as to the location of what he thought was an ancient temple. (Due to the current political situation in Mexico, the safety of those currently involved with this excavation would be compromised should I reveal the exact location of the excavation, or the name of the city.) Excavation of that location later revealed several carved crystal artifacts. Among these artifacts were two crystal skulls, one of which is currently owned by Nocerino, which is 13 pounds 3 ounces and is carved of clear quartz crystal. Nocerino calls the skull Sha-Na-Ra, in memory of a Shaman Healer he once knew. The second is currently owned by DaEl Walker, a well- known crystal researcher and author of several crystal healing books. It is smaller than Sha-Na-Ra, about 9 pounds, also quartz crystal. DaEl calls it The Rainbow Skull, due to the rainbow of colors that dance through the skull when in the natural light. There were many other artifacts found at this location. Several small carved crystal skulls, half skulls which were hollow and a very rare and powerful item we call The Jaguar Man. It is five inches high, two inches in diameter and is carved of quartz crystal. It depicts the head of a Jaguar, with the head of a man in its mouth. The facial features of the man do not appear Mayan. This piece is currently owned by me, and is being exposed to extensive research. Excavation continues in this area and additional finds are expected. The Pelton Foundation of Applied Paranormal Research, The Institute of Psychic and Hypnotic sciences and The Society of Crystal Skulls, International, launched a research project and video documentary which included the Rainbow, Sha-Na-Ra, E.T., Jesuit, Max, and the Agate Chip skulls. Members of the various organizations who were expert in the field of psychometry, scrying and gazing were brought in to work with the skulls in an attempt to learn more about the skulls using these methods. It would be the first time in recorded history that more than two authentic carved quartz crystal skulls would be together in one room at the same time. Our project included X-rays, to determine if any were broken or had been more than one piece and glued together, laser light penetration, and startling close-up video of the skulls. The results of phase one of the project can be viewed in our production Skull Trek: The journey of the Crystal Skulls. This production also includes information and photographs of 16 additional crystal skulls, such as the Mitchell-Hedges, Paris, British, Marin, San Jose and Amethyst skulls to mention just a few. Portions of the scrying sessions are also provided. Psychometry and scrying provided glimpses of the past and wonderful scenarios of ancient ceremonies. A connection with the fabled Atlantis was also brought out during one of the sessions. What were these magnificent objects used for? Who carved them? Is it possible that contemporary society can make use of their wisdom for physical and mental healing? Further research may provide the answers. Perhaps it will provide only more questions! During my personal research with the skulls, I stumbled upon a phenomenon that I am continuing to pursue. While working with the skulls, performing scrying, I was using various colors and sounds. I placed the skull on a small light box and alternated several colors over the light source opening. After recording my sessions over a period of several weeks, I began a review of the results. I was shocked to learn that when I used a certain color over the light source it seemed to activate a time period. Researching my results further, I determined that each time I used the same color blue, for example, that I would revert to the same time frame. I could almost pick up where I left off at the end of the previous session that I used the particular color. The energy that these skulls produce is staggering. Are they indeed holding the knowledge of mankind? Were they left by an extraterrestrial intelligence? The ages of some of these skulls are estimated to be 100,000 years old. Without ancient documentation, psychometry may be the only tool that can be utilized to obtain the information. Our research continues daily. In April of 1996, The BBC, in association with the British Museum and Everyman Productions, of London, performed tests on several crystal skulls to determine the age of the caning through electron microscope. Nick Nocerino was invited to bring Sha-Na-Ra. Carl and Jo Ann Parks were invited to bring Max. The British museum offered their Aztec skull and the Smithsonian Institution was invited to bring their 40-pound skull. Also included was a skull from Guatemala, an ancient gold and silver plated reliquary cross which rested in a carved crystal skull and a small skull. Anna Mitchell-Hedges was also invited. However, she declined. A documentary was produced of the tests by the BBC. The results were shocking to the museum staff. It was determined that the British skull and the Smithsonian skull were not ancient, but in fact carved using very contemporary methods from the 1800s. Sha-Na-Ra and Max were also examined. While the officials of the museum would not publicly comment as to the results, it was confidentially revealed, by the antiquity expert brought to the museum by its officials, that the method used to carve Max and Sha-Na-Ra, was used more than 5000 years ago! The skull in the British museum was a fake. The Smithsonian skull was a fake. The Mitchell-Hedges skull? Well, we wonder why Anna declined. Her only comment was that it had been tested enough in the past. The BBC aired their documentary in July, 1996 and will be aired by U.S. television, however, no date has yet been set. In a letter to me from Everyman Productions, in London, it was reported by the BBC that they had never aired a program in this series with a larger audience. The documentary produced as a result of the research project is titled Skull Trek: The Journey of the Crystal Skulls, and can be purchased from Pelton Publications as advertised in this issue of Atlantis Rising. Additional information about the crystal skulls can be obtained by writing F.R. Nick Nocerino, P. O. Box 302, Pinole, CA. 94564, Pelton Publications P. O. Box 377, Pinole, CA. 94564 or you can contact Carl and Jo Ann Parks, directly in Houston, Texas. Jo Ann travels extensively with Max. Her appearance schedule may be obtained from her or Pelton Publications. Joke van Dieten may be contacted directly in Miami Beach, Florida. She also is now traveling with E.T., Sha-Na-Ra, The Rainbow Skull and The Jaguar Man are not available for viewing, however, additional information regarding these artifacts can be obtained by contacting Mr. Nocerino or myself at Pelton Publications. I'm listening to the interview on George Noory's "Coast To Coast AM" radio talk show, and the topic is Max. It jarred my memory a bit. I believe I briefly met and experienced Max during a Phoenix workshop about 10 years ago in a bookstore, after formerly experiencing the Mitchell-Hedges skull. Interesting, I must say. The emotional responses of observers are because of the purifying/rebalancing energies of the skulls. The soul responds. It would be frightening to someone who lives from fear, but exhilirating to someone who is more open to life. There is the subconscious recognition of the connection with Spirit, and only one's interpretation of his personal experience needs to be feared. I've heard some statements made during the program that perhaps could be amended to be more accurate. I'm no expert, other than working with Arkansas quartz crystals extensively since the mid-1980s. They taught me what I know about them. I first set them out on the dining table before me night after night and used a pendulum tool to study their "energy flows." Then I was led to put them in patterns to create environmental treatments for varied needs. Crystals do not originate and generate energy, not a one. Rather they act like radio transceivers to "breathe in" crystals at one point (sometimes at one end, sometimes at a spot inbetween) and spiral the energies like double helixes throughout, then "exhale" it at the other end, or elsewhere. I had to get acquainted with each crystal individually this way to map its energy flow. They are as individualistic as humans, but there are patterns that they fall within. For that reason, I have my collection of crystals separated into groups, depending upon their beneficial uses. I think of them with the same appreciation as a magnifying glass that collects sunlight rays and focuses them together for a seemingly stronger, more focused concentration that appears to do miracles. Imperfections of quartz are not to be overlooked or downplayed. Those are key spots of energy accumulation/release. I would not expect or want to use a perfect, clear quartz tool. It’s the occlusions and "flaws" that give them their specific uniquenesses of application possibilities. The comment was given on the program: "Max has expanded. He has enhanced my life." That sums it all up perfectly. No doubt Max hated hibernating in the box so long. Light rays are the lifeblood of quartz. They thrive in the light, just like flowers and we do. Isolation and darkness make them withdraw and go inert. Anyway, since discovering their properties as tools, not as mystic gods with minds of their own, but as extensions of my own consciousness, I had to learn to control my emotions before handling them so that I didn't keep blowing out light bulbs, etc. They exemplify that adage about giving out 10 times what is received. Their use to purify any form of water is a fascinating attribute of quartz. I use them now in place of bandaids and ice bags when I stub toes and sprain ankles, etc. I put them into patterns, according to the need, and they seem to draw out the excessive energy buildup of tissue damage repair going on within 20 minutes and all is well from there on as if nothing ever happened. "The skull is a duplication, not a model. It was made by humanoids who were not of this earth. They would be termed Pleiadeans to your knowledge. They extended within another parallel galaxy to your Milky Way as an invisible counterpart of your sixth dimensional existence, like a sister galaxy. "The skull was actually brought to earth realm fully created. It was teleported along with visitors who came to teach earth mortals about their Pleiadean heritage and purpose for being here, also how the transposition came about. These themselves were experimental tools developed for mortal use. They used the skull for teaching mortals about themselves and their spirit-living-in-earth existence. The skull was displayed for use in expanding mortal awareness of physical life in order to regain understanding of relationship with light-and-sound life forces inherent within the realm. This is the foundation of what you now identify as 'priesthoods.' Thus, the skull was not a religious object of worship, for no such worship existed. Rather, it was a teaching device left with mortals to apply similarly in order to teach future generations and perpetuate satisfactory supra-conscious evolvement. "There were other such quartz crystal skulls besides this one [the Mitchell Hedges skull] used for various purposes of teaching throughout South America at key areas of cultures. They were brought to key points of location among mankind for use by the Pleiadean visitors to benefit them. These skulls were connectors interlinking the sites, like fingers of one hand. Each functioned individually as well as collectively. "The skull becomes a tool into your soul's awareness that houses all knowledge of experience. All that is discovered through them becomes applicable to mortal capability that has become forgotten temporarily while in mortal capability that has become forgotten while in the mortal living state. Freedom is possible to be gained, depending upon the state of fears entertained by false beliefs of the person. In truth, there is nothing to be feared by the user. Thus, he must purify himself of his illusionary beliefs in order to gain the benefit. It is a tool for reawakening and reteaching oneself. Limitations of time and space become transcended as he opens awareness to greater realms and the totality of Life permeating his mortal home. ... Mankind must learn how to listen within his own innate sensing channels and to trust himself in that. It is like a helpmate for more direct communication within oneself in totality beyond his mortal identity. "This is the gist of the crystal skull of quartz. Do not make it become idolized or venerated more than it is designed to be. Do not become enamored with scientific provings and testings of phenomena nor construction. It cannot be explained with the proof that is sought. Science can only test its physical effects of its properties, but what is to be gained by that? Then it becomes a curiosity item." All I know from my experience is that these are like transportation tools that need the human driver to direct their course of application. They are like orchids in a floral garden that need caretakers so that do not fall into disarray or get lost again. Like everything in Nature, they are like gifts for use to enhance life. Everything I learned about the properties of quartz crystals is likewise applicable to myself. And I believe that is the key to discovering how to attain and retain harmony in a chaotic world. The purpose of this article is to provide a short concise description about the crystal skulls, one of the greatest mysteries in our world. An Australian magazine originally had requested an article from me and I had to write in but a few days. So it was not an easy task by any means as the study about the crystal skulls is very involved and complex (to a degree). But, being an Aries born individual, I definitely accepted this challenge and I think the end results weren’t bad. So, now is our time to share this information with you! Joshua and Desy Shapiro (U.S. & Holland) holding their three personal crystal skulls, (from your left to right) “Portal de Luz”, “Unity”and “Moses of Peace”. I was minding my own business when I walked into a metaphysical bookstore in San Jose, California and saw a picture of an almost human-sized Amethyst Crystal Skull. What was amazing is that when I gazed at this picture, I felt a strong and powerful vibration throughout my entire body and heard in my head the words, “What is this (the skull) doing out now?” Within an hour, while I was still in the same bookstore speaking to the owner, a powerful earthquake hit a city in California not far from us and the table with the pictures of this crystal skull was shaking as well. With an inner and outer confirmation, my journey with the crystal skulls had begun. Now almost 20 years later, having given over 200 presentations in the U.S., Canada, South America, Australia and all over Europe (10 different countries), boy do I have some important things to tell you about the crystal skulls!! Well as the name does imply, we are speaking about skull shaped objects made from various types of quartz crystals (clear, amethyst, smoky, rose, etc …). “NEW or CONTEMPORARY” – crystal skulls being manufactured by modern carvers of which thousands upon thousands now exist (and this has only really started to explode since the middle part of the 1990’s). These skulls come in all shape and sizes (one new skull made was well over 100 pounds or 50 kilo) and are being primarily done by carvers in Brazil and China. Even being sold on E-Bay. “OLD” – a crystal skull that was fashioned from over 100 years ago to about 1000 years ago. Most of these types of skulls have been discovered within or near ancient ruins in Mexico or Central America and many of them are guarded by descendants of various indigenous people throughout the world. Usually with the “Old” crystal skulls we can have find some type of tool mark left by the carver, as is the case with the “New” crystal skulls. “ANCIENT” -- a crystal skull that was created from 1500-2000 years ago to whenever (they could be hundreds of thousands of years old). There are a few crystal skulls that exist today which are considered “ANCIENT” crystal skulls. a whole new article by itself]. It is my personal belief that the true understanding of the ancient crystal skulls can be found within various traditions of the indigenous cultures that exist in our world. In particular, there is a definite connection with the crystal skulls with the Mayans and the Aztecs, and there is even information coming from various Native American sources that they know about the skulls as well. In most cases, the crystal skulls are linked to sacred world prophecies held by these people. Also if such cultures have their own crystal skulls (which seems very likely) they are protecting and guard these skulls in secret as they consider these artifacts very sacred and take the responsibility to hold them very seriously. To determine what type of crystal skull one might have, either we can go by the Legends of the Indigenous People who have them, or by working with trained sensitives who can psychically link into the energy and history of the skull. The public first became aware of the crystal skulls during the later part of the 19th century. At this time, many museums of the world became interested in displaying antiquities from past civilizations (Egypt, Greece, Mesoamerica, etc …). Thus, in the 1878, in the Musèe de l’homme (Museum of Man in Paris -- for our French readers) and in 1898, in the Museum of Man of London (for our British readers), each had a clear quartz skull on display (both came out during the 1860’s during the French occupation of Mexico, purportedly found or acquired by Soldiers of Fortune, linked to Mayan sites in this country). However, in the research conducted for our new book, “Journeys of a Crystal Skull Explorer” (to be released as an e-book and published book this year) there were a number of other old and ancient crystal skulls that were uncovered in various ways during this same century which eventually found their way (after passing through the hands of various people) to specific individuals who are publicly known today! “Max”: 18 lb (9 kilo) clear quartz crystal skull purportedly discovered in a Mayan tomb in Guatemala between 1924-1926. The skull was gifted by a Mayan Shaman to a Tibet trained lama in 1970, used in a healing center in Houston, Texas and then upon the lama’s death, was given to Carl and JoAnn Parks, who tour with this crystal skull with many people in the U.S. primarily. The name comes from a telepathic communication between the skull and Mrs. Parks, where the skull informs this is the name. Its history is unsure, purportedly it was part of a collection of crystal skulls held by the Mexican President Diaz from 1876-1910, but also we have reports the skull was discovered in the Oaxaca area (Mexico) and was hand down generation to generation through an order of Mayan Priests. Now it resides in San Jose, California with a group of businessmen who are offering this skull for sale.There are of course many other crystal skulls which are believed to be “ANCIENT” or very old, but this group of four is a good representation. “Ami” – an ancient amethyst crystal skull. Notice the circular indentation in the temple and the white squiggly line that cuts the skull in half as it travels the full circumference of the quartz piece. Has Any Research Been Done to Understand the Skulls? 1. To use various electronic devices to see if we could provide some proof and understanding why the energy or presence of a crystal skull is affecting people in such a powerful manner (and our blind test showed us this was indeed occurring using such devices as meridian based machines, EEG, lecher antenna and Krilian machines sensitive to recording and displaying the Aura. 2. We also discovered secret codes contained within the crystal skulls in the form of images that came out using a special process of analysis using scanned images of the crystal skulls (reversal images that was developed by the Mayans) and very importantly, the Bible Code (secret information encoded within the Torah, the first five books of the Old Testament by a numerical skipping of letters) conclusively discusses the crystal skulls, their link to the Mayans, Prophecy, speaks about the Mitchell-Hedges Crystal Skull, their ability to work as a computer and for healing. Here a group of researchers based in Belgium, using what is called a Lecher Antenna (like a dowsing rod but able to measure specific frequencies of energy) test “Portal de Luz”. I believe the crystal skulls are one of the most important ancient artifacts that have surfaced into the public’s attention which exist today. I believe the crystal skulls hold key information that will to bring to our world a time of perfect peace and harmony by the year 2013 (or in the ‘Year Zero’, December 21st, 2012 as stated by the Mayans). This special date is so significant that my new wife Desy and I married on December 21st, of last year, in the presence of our own crystal skulls and images of several ancient crystal skulls, 10 years before. Regardless of the sources from which these skulls originated from (other worlds brought here by the ETs, Atlantis, Lemuria, the Inner Earth, etc …) they are now helping many people to awaken to their true potential and to see that we are all members of the same spiritual family who must unite together and work in a cooperative manner to create a world of peace and harmony for ourselves and the generations to come. The Crystal Skulls are a sign from the Universe and unseen spiritual helpers; that this time of Peace that has been prophesized is now here and at hand, if we each could but do what only makes our hearts sing. Thank you for reading and listening. Hopefully in the near future, Desy and I will be able to personally meet with you to share the energies of the crystal skulls as we continue our personal journey and odyssey all over the world, guided by the presence linked to these special crystalline friends. Joshua and Desy have been working together since 2001, traveling throughout Europe and North America, sharing their crystal skull events with the public. Joshua saw his first ancient crystal skull ("AMI") in 1983 and since that time has been actively involved in investigating the skulls. He is the co-author of the book, Mysteries of the Crystal Skulls Revealed (with Bowen and Nocerino in 1989) and the founder of the World Mystery Research Center (2001). Desy is a universal healer and a gifted visionary artist. She is the caretaker of nine crystal skulls that she shares with her husband. She has assisted Joshua with the crystal skull research conducted over the last 2 years. What is New in this Book? WHAT ROLE DO THE NEWLY CARVED SKULLS PLAY? IS THERE A CONNECTION WITH THE CRYSTAL SKULLS AND THE CROP CIRCLES? HOW TO WORK WITH AND ACTIVATE YOUR OWN CRYSTAL SKULL? WHAT IS THE BLUE CRYSTAL SKULL ......?? WHAT DO THE INDIGENOUS PEOPLE SAY AND KNOW ABOUT THE CRYSTAL SKULLS? to your part of the world, please don’t hesitate to contact us. Thank you!! Two of the best known crystal skulls - artifacts once thought to be the work of ancient American civilizations - are modern fakes, a scientific study shows. [ Indiana Jones and the Kingdom of the Crystal Skull ]. But experts say examples held at the British Museum in London and the Smithsonian Institution in Washington DC are anything but genuine. Their results show the skulls were made using tools not available to the ancient Aztecs or Mayans. Researchers say the work, which is published in the Journal of Archaeological Science, should end decades of speculation over the origins of these controversial objects. A team including Margaret Sax, from the British Museum in London, and Professor Ian Freestone, from Cardiff University, used sophisticated techniques to work out how the two skulls had been made. "There are about a dozen or more of these crystal skulls. Except for the British Museum skull and one in Paris, they seem to have entered public awareness since the 60s, with the interest in quartz and the New Age movement," Professor Freestone told BBC News. "It does appear that people have been making them since then. Some of them are quite good, but some of them look like they were produced with a Black & Decker in someone's garage." He added: "There seems to be the assumption that if it is roughly worked, it is more likely to have been made by a traditional society. That's untrue of course, because people were quite sophisticated. They might not have had modern tools, but they did a good job." The researchers used an electron microscope to show that the skulls were probably shaped using a spinning disc-shaped tool made from copper or another suitable metal. The craftsman added an abrasive to the wheel, allowing the crystal to be worked more easily. This "rotary wheel" technology was almost certainly not used by pre-Columbian peoples. Instead, analysis of genuine Aztec and Mixtec artifacts show they were crafted using tools made from stone and wood. The British Museum skull was worked with a harsh abrasive such as corundum or diamond. But X-ray diffraction analysis showed a different material, called carborundum, was used on the artifact in the Smithsonian. Carborundum is a synthetic abrasive which only came into use in the 20th Century: "The suggestion is that it was made in the 1950s or later," said Professor Freestone. Who made the skulls is still a mystery. But, in the case of the British Museum object, some point the finger of suspicion at a 19th Century French antiquities dealer called Eugene Boban. "We assume that he bought it from, or had it made from [craftsmen] somewhere in Europe," said Professor Freestone, a former deputy keeper of science and conservation at the British Museum. Contemporary documents suggest Mr Boban was involved in selling at least two of the known crystal skulls - the one held in London and another in Paris. The London skull was probably manufactured no more than a decade before being offered up for sale. Despite the findings, a spokeswoman for the British Museum said the artefact would remain on permanent display to the public. The skull held by the Smithsonian was donated to the museum anonymously in 1992, along with a note saying it had been bought in Mexico in 1960. Nothing is known of its history before that date, but like the British object, it was probably manufactured shortly before being purchased. The researchers were not able to determine where the quartz used in the skulls was quarried. But locations with suitably large deposits include Brazil, Madagascar and, possibly, the Alps. Professor Freestone said the work did not prove all crystal skulls were fakes, but it did cast doubt on the authenticity of other examples: "None of them have a good archaeological provenance and most appeared suspiciously in the last decades of the 20th Century. So we have to be sceptical," he explained. The findings are likely to be a disappointment to enthusiasts and collectors; the skulls have become a part of popular culture, appearing in numerous films and novels. Large quartz crystal skulls have generated great interest and fascination since they began to surface in public and private collections, during the second half of the nineteenth century. Some of them have been attributed to the work of Aztec, Mixtec or even Maya stone workers. Others are said to be examples of colonial Mexican art, for use in churches, perhaps as bases for crucifixes. Scientists at the British Museum have concluded that the quartz crystal used in the manufacture of this example is likely to have come from Brazil. Moreover, it bears traces of the use of a jeweller's wheel, which was unknown in the Americas before the arrival of the Europeans. These traces and the high polish of its surface indicate that it was carved using traditional European techniques. The crystal skull was said to have come from Mexico, brought to Europe by a Spanish officer, before the French occupation. Sold to an English collector, upon his death it was acquired by Eugène Boban, a French antiquities dealer. It became the property of Tiffany and Co., N.Y., from whom it was purchased for The British Museum. Boban could have acquired the skull in Germany, where large quantities of Brazilian quartz crystal were shipped in the early nineteenth century. At the time of the fourth Sun, people had died of hunger, which followed a flood of fire and blood. It was predicted that the end of the fifth world would have happened because of the Earth vibrating and shaking (due to possible inversion of the terrestrial magnetism). Then all life would disappear. Perhaps, you’ve heard about Mayan calendar. It started on August 13, 3114 BC, and the end was destined to come on December 21, 2012. It was related to Venus. Mayan scribes left manuscripts, called codices, with many "prophecies", particularly about solar eclipses. They were regarded to be famous astronomers. From the times when people inhabited twelve planets, there were thirteen crystal skulls left. Those inhabitants left them to people of Earth. Atlantes had left them to the Mayas. If put together, these skulls could have revealed information about our origins and how to avoid future catastrophes. Our predecessors could make them speak, their jaws could move. One may suppose that they were super-powerful computers. Results of multiple examinations of these skulls are astonishing. Namely, the research on the famous skull of Anna Mitchell-Hedges, carried out by the Hewlett Packard laboratories, was summarized as follows: "Our scientists cannot explain how these skulls could have been carved in ancient times without instruments and tools of today". According to experts at Hewlett Packard, it would have taken no less than a year to carve a scull of Anna Mitchell-Hedges even with modern tools. Also, it is not clear how such a precisely engraved fragile object could have been preserved under the permanent effects of the vibrations and heat. The answers to all these questions could have helped to give credit to the authenticity of the legend. It’s worth mentioning that since the end of the 19th century the crystal skulls trade began but most of them were duplicates. So is it a legend or...? There is a legend that the ancient Maya possessed 13 crystal skulls which, when united, hold the power of saving the Earth — a tale so strange and fantastic that it inspired the latest Indiana Jones movie. Experts dismiss the hundreds of existing crystal skulls as fakes that were probably made by colorful antiquities traders in the 19th century. But Mayan priests worship the skulls, even today, and real-life skull hunters still search for them. The true story of the skulls stretches over continents and hundreds of years, and may be even more extraordinary than the tale portrayed in this fourth installment of the Harrison Ford franchise.... It's possible that the near-human sized fakes may have been inspired by two real crystal skulls now on display at Mexico City's respected National Anthropology Museum... where the museum classifies them as either late pre-Hispanic or early colonial. The skulls' legend has spawned a new breed of followers. New-agers have associated the skulls with the belief that the Mayan "Long Count" calendar runs out on Dec. 21, 2012, when it reaches the end of a 5,126-year cycle... Shapiro has traveled the world seeking out skulls, and believes they link us to knowledge of past worlds like the Mayas, the lost civilization of Atlantis or extraterrestrials. Candace: I understand one or more of these video's is about crystal skull ceremonies. You can ignore that, because the crystal skulls is a black ops project. But there is otherwise some truth in these. I have not actually watched them, too long, but there was a lot of feedback on GLP on the skulls. According to the ancient Mayan Calendar we are living in the last days of a great cosmic cycle known as the "Long Count". Traditionally this is labeled as the Death of the 4th period of the Sun and the Birth of the new 5th Sun. The Maya kept accurate and detailed records of Earth's past transitions, and the civilizations that experienced major adjustments in their collective realities. It's no coincidence that the majority of the indigenous traditions and world religions mark our phase of existence as one that harbors a radical adjustment in the perception of reality. This transition to a new era has become known as the "Shift of the Ages". At this time light-workers are unifying, forming alliances and underground networks to assist the mainstream with this great human transition. One emissary of light is Don Alejandro Cirilo Perez Oxlaj, a 13th Generation Quiche Mayan High Priest. To the indigenous world he is known as "Wandering Wolf". Don Alejandro, in behalf of the Mayan Council of Indigenous Elders in Guatemala, has commissioned a film to be made to reveal visions, concepts, and subject matter previously concealed from the masses. According to Mayan prophecy, we have entered into a period when it is safe to release this information to the public. The Ancient Ones left stories, glyphs and prophecies to be considered by each successive generation. "The Shift of the Ages" gives expression to the voice of the ancient ones who have known of this period of time for eons. "Wandering Wolf" and other indigenous elders are now sharing their message with the people of our planet. Hear their words, feel their hearts, and see their visions! Positive seeds are being sown for the future. The "Shift of the Ages" is a heart warming, soul inspiring, and mind blowing experience. Support the Shift! Ron: Here are my notes on a web broadcast by Drunvalo Melchizedek about the Mayan prophecies concerning 2012 and beyond. The leader of the Mayan Council of Elders representing 440 Guatemalan tribes, Don Alejandro Cirilo Perez has given his approval to Drunvalo Melchizedek to tell the world what the Mayans themselves have to say about the 2012 prophecies, this is the first time they reveal to the world what they think will happen after 2012! At www.fyi-fla.com an AUDIO FILE talks about Atlantean culture being comprised of three rings (three spheres). The external ring was the large body of the population. The middle ring comprised Maya priests and the center ring were the enlightened beings Kattalls(sp?) that came from the stars. Maya served as gateway communication between outer and center ring. According to the Mayan Council we are all now living in the window of “the end of time” which the Council says began on 24 October 2007 NOT on 21 December 2012. They verify the explosion of the Comet Holmes as the Blue Kachina. The Blue Kachina exploded and grew into a blue fiery sphere larger than our Sun on 24 October 2007. It was documented by scientists as the largest object ever observed in our solar system. The Maya came from Atlantis and the Hopi Indians were originally Maya. Some 13,000 years ago, a group of Maya were sent on for a purpose but the purpose they do not say at this time. This group became the Hopi tribe. The Maya have a second prophecy about a red star, but are not speaking on this yet. Many ceremonies (communications between mother earth, father sky and the tribal councils) are being conducted in many sacred sites. One of the ceremonies being prepared for is the 13 crystal skull ceremony. The Maya say there will be a physical pole shift sometime in this end of time period. It will end up in Russia. The May a say the shift will be about 16 degrees whereas 3D scientists are saying it will be about 17 degrees. The magnetic field began to change about 40 years ago. The magnetic lines were changing because the magnetic field was changing. The Maya appear to be saying that this magnetic pole shift could occur at ANY MINUTE and THE PROCESS ONLY TAKES 20 HOURS. [Ron: Of course the fact that past pole shifts occurred in 20 hours doesn’t necessarily mean that this one will be over in that time since Star Fleet may seek to slow the process down to minimise physical damage on Urantia’s surface.]. The crucial message the Maya are giving is that humanity need to understand what is happening and not go into FEAR. Survival depends on staying still and not worrying until everything comes back. [Ron: In fact stasis will presumably overcome this problem]. However, these movements will mean that everyone and everything on earth will change location as a result of the Earth movements involved. The key to survival is to learn to live in the vibration of the Earth, Sun and Universe. The heart is the key. – in the heart one is one with ALL. – We need to focus on the sacred space of the heart. Mayans are originally from Atlantis and the Hopi Indians were originally Maya. Some 13,000 years ago, a group of Maya were sent on for a purpose but the purpose they do not say at this time. This group became the Hopi tribe. Drunvalo says the 13 crystal skulls ceremony will be performed for the first time in 13, 000 years although a single crystal skull ceremony has been performed for each thousand year period within that period. The evolution involved in the coming change is like child birth, painful but positive. The Maya are said to be preparing preparing for the final 13 crystal skulls ceremony. Each skull is said to represent one period of a thousand years in the interval since the last pole shift and each is infused with the knowledge of the millennium in which it is created. The first skull is said to have been made by the Atlanteans prior to the previous shift . Since then another 12 have allegedly been made by the Maya who are descendants of post-shift Atlantean priests and peoples. However, Candace says that the whole crystal skulls scenario is a black ops disinformation project. The long cycle is ending – everything is beginning to collapse due to natural causes. A new cycle begins. We will enter the FIFTH world. Duality consciousness disappears – human ego ceases to exist. Drunvalo answers some questions from correspondents. The Maya emphasise that this change will take place over a window period from 2007 to 2015. He thinks that there’s no reason to fear. We should just follow our hearts into a level of unity consciousness. The pain of thousands of years is going to be over with. Drunvalo says he is is going to New Zealand to take part in ceremonies at Waitaha (sp?) from 8 to19 August. The Maori say that something incredible is about to happen next month but he cannot say more. We are about to be born onto a new level of existence. We have a responsibility to life. We should try to live to the best of our ability, doing everything normally but being aware of our responsibility for all life everywhere. Continue to do everything as before BUT with love … Live fully and completely…So, we will be prepared. It is easy. We can all do this. Prepare by developing your inner life … to discover who you truly are. Search in a really deep way. You do have a responsibility to life everywhere. An inner change is what’s needed. Drunvalo says he can’t talk about the Waitaha (Sp?) Prophecy from NZ – but he can say that the Maoris expect that next month there will be an enormous shift in energy. The Maoris are from Lemuria and hence a MUCH OLDER culture than the Maya. The Maoris have been very, very specific! But Drunvalo has not been given permission to talk about their prophecy. The actual change in consciousness occurs after the change in the CYCLE… somewhere between 2007 and 2015. [Ron: As I understand it the change in consciousness for those left behind on Urantia may take considerably longer than the six years or so between now and 2015.]. 'As regards ceremony used by the Mayans it is not about the crystals or the fire, or the objects that they are using at those times, you could throw those things away; they could sit there with their eyes closed and use nothing. It is, again ... it is about a consciousness change occurring within humanity at this time. and the truth is the only thing that really matters. And that truth is about to unfold on Earth. I'm just here out of love for you, and for all life everywhere; and trying to get you excited to begin to search within yourself at this time. We are so close to the end of this cycle. and again, those things you saw on the screen, the crystals and the crystal skulls and all that stuff was related to the Mayan experience but its true, what you just said there ... I agree with you on that. Moreover, this message was not intended to trigger you into fear or to stop with your jobs etc. The Mayans have seen this happen twice before. This is about a consciousness change within humanity - physical things are NOT essential to it. Continue with your life but do not go into Fear. Only five of the thirteen crystal skulls have been found. In several parts of the world. Although, we would like to turn our minds to such nonsense, it is something we cannot choose to look away from. OUR FUTURE. IN the Museum Of American Indians sits one of these thirteen crystal skulls. A rare piece of history still not explained as to how without modern tools could this have been carved. It was said that the skulls were passed from generation to generation to fulfill the prophecies of these strange crystal skulls. There are many fakes surfacing up now. But, rest assured. There are real crystal skulls that have been found. And, they are rare and wil be a mystery until the day , in which, all are found. Are you Ready? To see if the myth holds true? Until then, I presume we will all await the day of December 21st 2012. Will this be another astronomers foretelling or will the earth open up its secrets to all. We will have to wait and see. Yucatan, Mexico will host the Maya Crystal Skull Conference and Journey from March 18 through April 2, 2010, where people from around the world will gather with their crystals and crystal skulls. The three-day conference will be followed by a journey to Maya sacred sites throughout Yucatan and Chiapas with leading Maya teachers, crystal skull caretakers and healers. The purpose is to work with the crystal skulls in the sacred Maya sites to promote personal healing, healing for humankind and healing for Earth. The highlight of the conference will be a Maya Sun Ceremony performed in Izamal to activate the crystal skulls and the ancient pyramid. The journey in Yucatan will include a visit to Chichen Itza to witness the descent of the Serpent of Light during the spring equinox. In Chiapas, there will be a visit to the site of Palenque, often linked with the mystery of the 13 crystal skulls. Ancient Maya oral tradition says, "There exist thirteen crystal skulls of natural human size around the world, and when they come together they will reveal all the Maya Sacred Knowledge of Life, but only if we are ready, only if we return to innocence and purity in our spirit." Maya Ancient Wisdom says that crystal skulls are a key to the transformation predicted for 2012. For more information, call 604-288-7003, email Trudy Woodcock at trudy@iluminado-tours.com, or visit www.iluminado-tours.com. MERIDA, Mexico, Sept. 16 /PRNewswire/ -- In March 2010, people from around the world are gathering in Yucatan, Mexico with their crystals and crystal skulls. The event encompasses a three-day conference in Merida, followed by a journey to Maya sacred sites throughout Yucatan and Chiapas with leading Maya teachers, crystal skull caretakers and healers. The purpose is to work with the crystal skulls in the sacred Maya sites to promote personal healing, healing for humankind and healing for Mother Earth. The highlight of the conference is a special Maya Sun Ceremony performed in Izamal to activate the crystal skulls and the ancient pyramid. The journey in Yucatan includes a visit to Chichen Itza to witness the descent of the Serpent of Light during the spring equinox. In Chiapas there will be a visit to the site of Palenque, often linked with the mystery of the 13 crystal skulls. Ancient Maya oral tradition says, "There exist thirteen crystal skulls of natural human size around the world, and when they come together they will reveal all the Maya Sacred Knowledge of Life, but only if we are ready, only if we return to innocence and purity in our spirit." Presenting at the conference and leading many of the ceremonies throughout the journey is Miguel Angel Vergara, noted Maya expert. "Nobody can say exactly what is going to happen on December 21, 2012. It is going to depend on each one of us and what we do now in these days leading up to the end of the Maya calendar. It is clear that a great deal of healing is needed to allow us to move forward. Having the crystal skulls at Chichen Itza during the equinox is going to give us a very powerful healing opportunity," says Miguel Angel. Another presenter and leader of the journey is Erik Solis. Erik is Maya with deep roots in the Yucatan. "The Yucatan is a special place for transformation. 65 million years ago a meteor crashed here and completely transformed every living thing on earth. Now as the planet faces a major transformation in consciousness, it is not surprising that the Yucatan once again has an important role to play," says Erik. There are three crystal skull caretakers presenting at the conference and joining in the ceremonies throughout the journey: Star Johnsen-Moser, ShavatY and Lia Scallon. They are coming from America, Europe and Australia to share their healing work and their crystal skull experiences with everyone attending. Maya Ancient Wisdom tells us that crystal skulls are a key to the transformation predicted for 2012. The Maya Crystal Skull Conference and Journey will give people an opportunity to learn more about both crystal skulls and 2012 while visiting ancient Maya sites, participating in Maya ceremonies and contributing to important healing work for our planet. Contact Trudy Woodcock at trudy@iluminado-tours.com or info@casakin.org for details. Marie Allizon attended January 07 Earth-Sky Living in the Heart workshop in Washington, DC, and was granted an interview with Drunvalo. Marie: During our previous interviews (December 2000 & July 2002), you did not seem as optimistic about what is happening in the world as you are today . Drunvalo: I know we are going to make it because I have been allowed to see into the future. However, even though I optimistically say "we make it" we are still going to pass through this little "eye of the needle" where it is going to look like it is hopeless. And they [my guides] wouldn't let me see what this was - but something happens and what looks so hopeless turns around very quickly. Marie: Is it like the three days of darkness that we used to talk about? Drunvalo: No, this doesn't have anything to do with that. It looks as if the outer environment we live in will completely and totally die, and everything in it. We are going to come to that stage. So it is going to look hopeless. My angels didn't show me that part of it. All they would say is that you are going to witness in your life a place where it looks like it is just over. Then this "thing" is going to happen. And the world situation is going to be quickly and completely turned around . Marie: In the workshop you spoke about "waves" of people who will die. Can you explain what you were talking about? Drunvalo: The waves are spoken about in Native American prophecy. There was an American Indian from a long time ago that was allowed to go to all the various tribes - mostly in the United States and to the secret societies (the Grandmother societies) and to collect and write down the prophecies from these tribes to find out what they had in common. He found one thread which ran through all the prophecies which talks about the time which is approaching. There are three waves of people on the earth who are said to die in a very short amount of time. I don't know what that is about exactly, but when I was reading about it, it felt like it occurs in about 10 days time. Something very quick, something VERY BIG happens and kills an enormous number of people. Outwardly it looks horrible. It could be Atomic war, the bird flu, or who knows what. Outwardly, to the survivors, it looks like a catastrophe, but inwardly the people who leave this way have planned it. They want to leave, and they want to leave together. When they collect over the top of the earth, the first wave goes to a specific place in time/space/dimension so they can be with their own kind. Because they are not really in tune with the Earth, they can be in harmony together (elsewhere). Then it is said that there is another bigger change coming with another wave of people leaving the planet. Again this is by choice on the inner levels -.not a kind of suicide- but on the inner these people know something is about to occur and they come together in order to go to another place in space/time. Then there is a third wave where a massive amount of people die. This group called "hitchhikers" in the prophecies does not know where their home is so they leave, looking for that place and eventually they do find there home. After these waves pass, there are only millions (not billions) of people left in the world - a much smaller number. The people that are left over will come together in one heart, according to Native American prophecy. They become as one living being. Regardless of race or religion, all the divisions are dropped and the remaining people become as one family. Then, with this new found higher consciousness, those that are left take the earth and they fly it - as if the earth is turned into a space ship which is flown to a new place, and a beautiful new way of living emerges on earth. The prophecies actually use the word, space ship. Marie: So the actual earth is used as a space ship... so do you mean Mother Earth is going to clean herself in this process? Drunvalo: Yes, everything is solved. We totally fix everything through pure Consciousness, not through technology or anything like that, but through our very being. From a Melchizedek point of view, we actually change orbit. Marie: In our last interview, you said that we move into a parallel earth, and then another parallel earth, and so forth. Has this theory changed or evolved? Drunvalo: All I am saying is this is a Native American prophecy. The Melchizedeks believe there is more to this - a lot more. But the idea with the Native American prophecy is that most of the people are going to die and leave the earth and go somewhere else. This may very well happen. I don't know for sure. I am just saying that many tribes have this in common. Drunvalo: Oh yes, because after that, we leave the earth altogether. There comes a point where we completely leave the earth, we transcend it, we go into another level of existence and that is the beginning of a very rapid, but very long journey. And we end up completely beyond the stars and planets. We end up existing in another way and in another octave of existence. Marie: Do we leave with our body? Drunvalo: Initially we do. We leave with our body and then our body mutates into something that would look more like an ET. After that we become Everything. But that is only the beginning of the journey. Marie: That's exciting. That is what Barbara Marx Hubbard is talking about in her new DVD "Humanity Ascending". We can't keep going in the way we are today. It is sick. You mentioned that in the case of the-end-of-the-world prophecy of August 1999, that they were wrong for the first time. I was wondering... since everyone seems to be saying that something is happening "soon, soon, soon", do you feel this end-of-the-world scenario will be happening before February 2013? Or much sooner? Drunvalo: Yes, and for many South American tribes, there is even a prophecy about this year - 2007. I don't want to say what that prophecy is - I'll let them say it, but there is many indigenous tribes expecting much change to take place this year. So I think between now and 2013, we will be going through a lot of transformation. Marie: I personally watch the galactic center and Pluto at 29 degrees Sagittarius. So I wouldn't be surprised if it happens around those dates (12/28/07). So are you saying there may be several stages, you know like Phase I, Phase II, Phase III? Drunvalo: It does go in stages. It isn't something that goes like that (Drunvalo snaps his fingers). You never see a plant grow from a seed to a big tree instantly. Life always moves in segments though sometimes those segments can be pretty big and sometimes very violent. But the primary thing I hope people will realize is that they will be fine. The most important thing right now that I can see is to find the sacred place in the heart. ( on the Spirit of Ma'at website and read about Dry/Ice/Global Warming Revealed http://spiritofmaat.com/announce/ann_dryice.htm. Now you have Al Gore's movie An Inconvenient Truth, whom I find very optimistic, as he gives us ten years. But I don't know a single scientist on the planet who gives us ten years or anybody else who gives us that long. What the Pentagon talks about is the rapid changes in climate, making it impossible to live in certain areas. Exactly where those areas are, they don't know. All they can do is go back to those last two times in history and see what happened. But will it be the same? Maybe and maybe not. What they do know is that there will be areas that will be uninhabitable. The time before last, where it stopped, which is what we think it is doing now, the place which is now New York City was uninhabitable. It went under about a mile of ice. You can't live under a mile of ice. It's just not possible. In fact, Norway, Denmark and Sweden went under ice and the Pentagon's predicting that they'll also be under a half mile of ice soon. Marie: Does very soon mean within three years? Drunvalo: It will begin soon. There will probably be a constant storm that never goes away - a time when it is winter, all the time. So, people will have to leave that area. It is the migration patterns that the Pentagon is mostly worried about. Because you are going to have billions of people forced to leave from where they are and will have to try to survive somewhere else. This causes everything to collapse. No more food in the grocery stores, the economy collapses, etc. You can't grow food when this begins, because there's no beginning and ending to the growing seasons. Plants go crazy, and food then becomes one of the most important commodities. Marie: So a solution may be to learn how to breathe and stop eating? you can now order it in English: : "Life from Light " by Michael Werner, Clairview books , ISBN 978 1905570 05 8. Yogananda is about to demonstrate that to the world. Everyone thinks he is dead. He's not dead. When Yogananda "died" in the 1950s, all of his bodily functions stopped. After 20 days, according to mortuary officials, his body appeared completely normal, but he wasn't breathing, no heart beat, nothing. At some point he's going to wake up and say, See? I've been sleeping for 50 something years with no food, no water, nothing and I am fine. That's Kriya yoga. That's the effect of working with the devas and light energy of Mother Earth. That's our God-given right though most people don't seem to believe this. Marie: You were talking about Goddess Amaterasu (in earlier interviews). How old is she now? Drunvalo: The Japanese see Amaterasu as the light of the sun. She is the energy that gives light to the earth, and consciousness. Amaterasu is in everything that is alive, at this point. And she is linked to everything coming from the Sun, solar flares included. The spirit of the earth is a different thing, and Mother Earth is roughly 23 or 24 or 25 years old. Really smart, really aware. Marie: During your workshop we learned about getting out of our mind and into our heart and operating from the sacred place in the heart. You explained how the mind works in duality and while existing in the heart, we just "are" pure being. If all the participants of your workshops practiced your heart meditation, would this energy expand exponentially, helping all of us to eliminate fear and transition smoothly? Drunvalo: It will help get rid of fear but that is not exactly how it works. Mother Earth is changing the world. She is in control now, so we don't have to do anything but just be of service. If she says to do something, okay we do it, and if she doesn't, then we can relax. We've won the game, everything is almost in place. Everything is in balance. There are things to do, but they will be taken care of ... We just have to keep moving. But a time is coming when sitting in a restaurant like this is going to be a memory. We won't be able to do this and the most important thing I'm concerned about in this time is that good light workers don't go into fear and think "oh, it is all over". No, it is just beginning. Stay out of fear and just believe in the presence of God. We will probably lose a few people during that time, because if you go into fear then it is over. When everything starts breaking down, the Taos Indians say, go into your house, and pull the drapes so you don't see all the craziness going on, which could cause fear. And just stay in your heart and let Mother Earth and all the energies that you are intimately part of do their job and stay in trust. It is easy to say and harder to do. It is just like when you get cancer or something like that and people are told that they are going to die, then they get really worried. But we are immortal, we've always been alive, we are going to get through this one. Remember it is a time of transition. Transitions always get crazy. Stay out of fear and be in the presence of God. Marie: I personally believe that people back home, once you leave the flock, will miss you. Drunvalo: Are you talking about me? Oh, no! I'm staying with Earth. Where we are going to as a planet is where I came from. That's why I was sent here, because there had to be a memory connection to it. So now, the ascended masters have made their way back to that place, some of them HAVE come back here, so humanity has already got the path and the understanding. It is already in us. It is in who we are, it is our very DNA, at this point. Marie: I was fascinated by your sharing about the earth's kundalini energy moving out of Tibet. Then being stuck at the Panama Canal for a while and finally released --thanks to the help of hundreds of tribes five years ago-- and reaching Peru and Chile. Can you tell us more please, especially about the White Pyramid? Drunvalo: There was a White Pyramid in Tibet which the explorers have found. There was also one before that in Atlantis. Now the energy has moved to Chile. Somebody will physically build one there because it will become the most important place in the world. Marie: So when was the energy released from Panama? Drunvalo: It was September 2001. Right about 9/11. But it took a longer period of time for it to reach South America, so it was sometime in mid-2002, when it actually arrived in Chile. There were 112 tribes forming a circle waiting for the energy. Since 2002, everything has been completed. I'm writing a book about this now -- so all these stories and everything around this whole subject will be coming out in print soon. Marie: Can you then talk about your next book then? Drunvalo: The book about the Kundalini of the Earth, its movement and everything that has happened with the indigenous tribes and the ceremonies relative to this new energy. It is a story of hope and inspiration because this is a very POSITIVE EVENT that is taking place. This is also a story of inspiration for females because it is a story about the change of energies moving from the male to the female. Marie: Could you comment about Mikael Zayat new oils, like the Archangel Series? Drunvalo: I did not try them all but I really like the oils called Archangel Metatron, and also Archangel Michael and Mary Magdalen. Divine Feminine and Fearless had a nice aroma too. If you are drawn to something, then that is good for you. But you know me, I like all the oils created by Mikael Zayat. I like also crystals, but somewhere down the line, we need to come to realize that the human body has everything all by itself. We don't even need food. You will reach a point when you don't need all this. You will just stay in your heart and just BE. Marie: Thank You so much Drunvalo. For the first time, Drunvalo began a live/interactive series of web casts on the subject of higher consciousness and expanding awareness. Just being himself and sharing his experience in spiritual matters, we will all explore the inner worlds of the ancient and modern ways of perceiving the Reality. His first web cast called THE MAYA OF ETERNAL TIME - 2012 began with the realization that everything our modern world knows of the Maya and their knowledge, including the most accurate calendar know to man, did not come from the Maya themselves, but from the modern world – archeologists, universities, governments, researching individuals. The Maya themselves find the interpretation of the Mayan evidence differently then the modern world. How do we know that to be fact? Because Don Alejandro Cirilo, the living Dali Lama of the Maya, said so, and he is the head of the Mayan Council of Guatemala, which is represented by all 440 Mayan tribes in Mexico, Belize and Guatemala, the entire Mayan nation. According to Don Alejandro, a 13th generation Mayan shaman, the Maya have not spoken or written a single word with permission from the Mayan Council in 527 years. To initiate a change in this silence, The Mayan Council brought a global assembly of people from all the continents of the world into sacred ceremony deep in the jungle of Guatemala in November of 2007, and in so doing, began to initiate the whole world into an amazing release of knowledge and wisdom to prepare the planet for a transformation into a new world of Light and realization. The Naj Tunich Caves, were rediscovered in 1979. They can only be explored with the permission of the government. There are tour agencies that will get the necessary permission for you, as well as guide you through the caves. These caves hold a wealth of artifacts and drawings, which are only now being discovered. The Naj Tunich Caves may, in fact, be the most sacred caves of the Mayans. Text written on the walls of the caves gives an idea that this is probably one of the most important caves in the area. Mayans considered caves to be holy shrines, and connections between earth and heavens. The caves have being closed for almost a decade, and the have been vandalized, like many other sites. Recently a new cave has been discovered in the area, La Cueva de Las Pinturas. It has panels with glyphs. These wall paintings are the only ones with a lot of information that might help to understand more about the Mayan culture of that epoch. How to get there: Contact one of the tourist agencies. Far Horizons offers trips to this caves. “Qana” can also mean Goddess, and “chin” can mean little. “Qa” can also mean our, and “nachin” can mean grandmother or female ancestor. Twenty-five members and associates of The Wisdom Conservancy traveled far to the south in March of this year to participate in ceremonies on Mexico's Yucatan peninsula with Mayan and Tibetan elders. The pilgrimage came about as the result of a call for unity from elders of the Maya nation, whose ancient texts and calendars identified March 21, 1995 as a critical opportunity to strive through ceremony to bridge the gaps between the continents, religions, cultures, and races. They asked people of good heart to take a stand for unity on this date, and to strive to awaken to fulfill their sacred destiny: "to stand in peace as true sons and daughters of the Cosmic Light." In addition to the 25 pilgrims from The Wisdom Conservancy, well over 1,500 people joined in the ceremonies at the spectacular Pyramid of Ku'Kulkan in Chichen Itza, and at other temple sites including Dzibichaltun, Uxmal, and Palenque. Thanks to the global reach of the Internet, many thousands of people around the world were also informed of this opportunity, and awoke early on the morning of March 21 to greet the sunrise in prayer circles of support. As calls and cards to TWC indicate, this combined effort apparently had a profound effect on many people. By the use of their ancient calendar cycles -- widely recognized as more sophisticated and accurate than the Gregorian calendars now used by the Western world -- the Maya understood that the 1995 Vernal Equinox, marked the completion of teachings that they have held and passed on for many generations. In the year 1475, before the arrival of the Europeans, The Supreme Maya Council revealed the long-held teaching of an ancient Solar Grandmother named X'Nuuk'K'in that a calendar cycle of twice the Kal'Tun calendar of 260 years had to go by in order for the Solar Culture to flourish again for the benefit of all humanity. In the spring of 1995, this 520-year period reached completion. Thus, the long-held teaching advises, the human race will have to enter upon an awakened spiritual path if it is to remain a thinking species. The Maya said they understand 1995 as the end of the "age of belief" and the start of "the age of knowledge." Some observers expressed reservations about this gathering, because, it seemed to smack of what was termed "New Age-ism in the extreme." Perhaps,in some respects, that is an accurate characterization of the gathering,especially since our Mayan hosts spoke often of "The New Itza Age" designated by their calendars, suggesting that we are now in a time of transition leading to this "age" in the year 2012. Certainly the hundreds of people who gathered for these ceremonies represented all the continents, and many of the world's religions. Their skins were white, yellow, brown, black, and red. The pilgrims in Chichen Itza sacrificed their time and money to make the journey, and they gathered to pray for "peace, unity, and awakening." We heard prayers and sacred songs in Russian, French, Mayan, Japanese, English, Tibetan, Spanish, Lakota, Belgian, Nigerian, and a host of other languages. People looked different, and had to accommodate differences in appearance and custom. But people got along and they brought their minds and hearts together. If that's New Age, so be it. It could also be said, perhaps in a more edifying context, that the Mayan Solar Pilgrimage of 1995 was a group of human beings doing something that they deeply felt needed to be done. The ceremonies themselves were very powerful, though that is hard to describe, as anyone who has participated in ceremony will understand. I will make no effort to characterize them, beyond stating that many people were touched, uplifted, and confirmed in their dedication to help reunite the Sacred Hoop. In general, the hundreds pilgrims from all over the world were neither unmindful nor unsympathetic to the larger plight of the Maya in Guatemala and Mexico, and many discussions were held on these situations, and support (moral and financial) was generously offered to various peaceful efforts to bring about social, economic, and environmental justice. But the main thing offered was respect -- not just for the spiritual mysteries being revealed, but also for the Maya as fellow human beings. The gestures and deeds of respect were deeply meaningful to our indigenous hosts, as they made plain in their formal and informal remarks. The council we met with and joined in ceremony was comprised of elders from the village of Mayaon, located near Chichen Itza. The approximately 10 elders represented their village of about 70 people, who are direct descendants of the people and families who built the temples and pyramids in that region. The Maya elders stood in ceremony with three Tibetan lamas (Lama Tsang Tsing, Lama Tsewong Jurmay Kekong, and Lama Gelong Tshering Wangt). The feelings of mutual respect, and a general tone of spiritual reverence among all, were plain to see. Lama Tsering delivered a simple yet powerful message for the delegation of Tibetan Lamas: "Today, " he said, "many depend on modern technology and enjoy it's benefits. But technology can also be a problem. We can destroy life on our planet. This is a reality. Long ago people did not believe this. They said it was impossible. But now, for those who examine the facts honestly, it is clear that this is a problem, a real problem. We need peace and loving compassion. We need kindness. "Many times we are confused because of race, color, or religion. But we are all really not so different. We all want to be happy, and not suffer. We are all human beings. On this point there is no debate. In the same way, no one wants to suffer. We all grieve from this, from the suffering in the world...It's important to practice kindness. If so we each will be happier. Without kindness, no matter how rich we are, we will not be happy. With a warm, kind heart, you will be happy even if you are poor. So, if just one person in a family practices kindness, soon the whole family will be more peaceful. Peace can grow from this., -- family to family, village to village, city to city, country to country. Kindness creates peace. Anger and hatred create suffering. We make the problems. We make the unhappiness. We can make kindness and happiness, too. Kindness is a responsibility." Toward the end of our time in the Yucatan, the Mayaon Council and Mayan Daykeeper Hunbatz Men released a statement calling for the recovery of sacred sites around the world: "The Kal'Tun sacred calendar has completed its cycle," the statement said. "The participation of all Solar Brothers and Sisters, and that of the sacred Lamas of Tibet, was instrumental in the fulfillment of the vision given over 520 years ago by the Solar Grandmother, X'Nuuk'in. The Sacred Mayan Centers have been activated and the Mayaon Maya Council was pleased by the Solar Initiation work. What all participants felt during this event was evident in their faces. A spokesperson for the Mayaon Mayan council said his group works to preserve and recover many of the things lost over the centuries: "When the Europeans arrived they were astonished at the knowledge the Maya had, and the general harmony we lived in with our environment and surroundings, even though we were at a high state of development in our mathematics, literature, art, agriculture, architecture, astronomy, social customs, and spiritual practices. The missionaries destroyed the records of this knowledge. And Modern society has destroyed many of the values that give birth to all of this. Now the loss of these values and teachings is affecting life all around us...After a few days with you (pilgrims), we are being helped to remember that all life is not material, but also spiritual. Help us to support the struggle to return these centers to people so they can be used again for ceremony. We need help with this." Author Alberto Ruz Buenfil, who participated in the ceremonies and also spoke at a related conference, observed "For 2,000 years we have systematically consumed and destroyed the Earth. The bureaucracies and the armies have been the high priests. Now it is time for a spiritual revolt against the clock and the consumption ethic. It is time to begin to relate to nature, and to all the people of the world, with respect...We have come here on this pilgrimage to reawaken our relationship with the Earth, to begin again to see ourselves as equals, to recover our personal power and learn how to share it." His remarks were amplified by comments from Mayan Daykeeper Hunbatz Men: "The waves of awakening and change have begun to roll. Nothing can stop it now. This is a movement to reclaim the great ceremonial centers of the world. To rescue them from museums and tourists, and to return them to the uses for which they were intended. "The Mayan ceremonial centers are now activated," he said, "and they will continue to emit solar vibrations to other centers around the world to activate them so that they might be used in the ways they were designed. It is time, now, to live out our true solar destinies in good relation with the whole circle of life." "We come together to nurture, educate and train our children. We come together to uphold the practice of our ceremonies and to affirm the right to use our plant medicines free of legal restrictions. We come together to protect the lands where our peoples live and upon which our cultures depend, to safeguard the collective heritage of traditional medicines, and to defend the Earth herself. We believe that the teachings of our ancestors will light our way through an uncertain future." Aggie was one of 13 women from indigenous cultures from around the world who were invited to the International Council of 13 Indigenous Grandmothers in October, 2004. Since then, she has been very active in following up on this first meeting. Here's an update the Center for Sacred Studies, September 19, 2005.
growth of compassion and kindness. keep up with this, update our web sites and contact everyone by email. through projects that educate and nurture our children." teachings based on a respect for all of life. cultivating their unified prayer for peace. surrounding Libreville, Gabon, at the temple of Bernadette Rebienot. united in this prayer, and we are grateful. and their messages of world unity, unfold­ed into an astonishing modern day miracle. after receiving it herself from Carole Hart, the filmmaker of the Grandmother’s documentary. "For the Next 7 Generations: The Grandmothers Speak. \"
The elders met with a gathering of Pittsburghers at the Point on December 12, in a ceremony to bless the three celebrated rivers as well as the fourth underground river, which was also acknowledged as sacred, and called the “hidden jewel” and “the hope for the future” as a source of pure uncontaminated water. The elders also visited a sacred Portal related to the Point, under Frank Keller and Nance Stewart’s stewardship, and met a private gathering of guests on that eve­ning to share teachings and answer questions. On the 13th, the elders were hosted by the University of Pittsburgh Center for Latin American Studies and the Council of Three Rivers American Indian Center for an intimate talk with the Latino and Native American Pittsburgh. Then their visit culminated with a public fundraiser event for the Grandmothers documentary movie, with filmmaker Carole Hart previewing the movie trailer, and presentations by the elders. Over 400 attended, some flying in from the West Coast, others driving from Ohio and West Virginia. From their various talks and private conversations, the Mayan elders left a rich legacy of his­ toric, spiritual, and cultural information, verify­ing our City’s modern day link with the ancient Mayan prophetic teachings. The visit also opened the pathway for Pittsburgh to stand with the Grandmothers, with surprising plans by the filmmaker, Carole Hart, to include footage of the Pittsburgh rivers’ connection to the ancient 2012 prophecy as part of the Grandmothers documentary. and spirituality as predicted by visionaries Nance Stewart and Frank Keller. Flordemayo offered her revelation concerning the fourth river and the fountain at the Point. (See these Mayan messages, and the com­mentary by Vikki Hanchin on the significance of the prophetic statement, in the boxed inserts). As the people of our City of Rivers begin to learn about and understand the deeper significance of these Mayan messages, we will be better able to connect with our rivers as our pathway to unity. We will come to support the Indigenous Grandmothers’ call to serve peace and the greater good. We will assist the City’s predicted shift into a global center of healing and spirituality, as Nance and Frank foretold. In fact, these two Pittsburgh visionaries were prompted by the “signal” of the Mayan Elders visit to reveal the next piece of information concerning this very shift: that by 2010 or 2011, the waters of the fountain at the Point, fed by the underground fourth river, will become healing waters “like those at Lourdes, but without the religious affiliation.” (For details see www.twinmiracle.com) They predict that people from around the world will come to Pittsburgh for miraculous healings. Since Nance and Frank’s prior revelations have proved 100% accurate so far, Pittsburgh and the world should definitely stay tuned. Pittsburgh: We are the ones we have been waiting for! For more information about the Mayan and Grandmothers messages and their significance, or to schedule a talk on these topics for your group, contact Vikki Hanchin at 412-241-7001 or email her at vikkihanchin@yahoo.com. For the 13 Grandmothers movie, see www.forthenext7generations.com. many worries about how things are at this moment: there is confusion, corruption, and disarray in general. path down into a dark ravine, to a< low place, but there are those still trying to find the better, healthier path. with so many in Pittsburgh who are asleep? illuminates our steps. Solutions are coming for these serious problems. Caution: When inviting guidance, use discernment that the person is legitimate in serving the greater good. in Pittsburgh and in the world, there are entanglements of greed and confusion that do not lead to the greater good. But the times are changing, and Pittsburgh is being born now into destiny to assist this change, this transformation. Those walking the higher path in wisdom will untangle the knots of confusion and help us all become free. tornado swirls like a woman’s skirts and hair, and when she swirls, her movement brings others into the higher force. Pittsburgh is the spirit of that movement. will join together to deal with the big problems. a big community of women and men, a big community involved. The outcome: Pittsburgh is moving onto the higher path, and step by step we will see the beneficial effect. Do not fear, but keep working together using intelligence and awareness, not force. of Elders of Guatemala, to Vikki Hanchin, on behalf of the City of Pittsburgh, 12/13/07. Source of life. The Mayan teachings of the Long Count are among these. and unity central to their 2012 prophecies. petroglyphs of the humans holding hands, and in the three guiding stars seen in the heavens. must protect Mother Earth as our ultimate source of survival. the keepers of the great traditions are returning. If you are sleeping—awaken! is happy with those humans who understand the meaning of the three rivers, which show us unity. source. We all go to the source—rich, poor, Indigenous, or not. The rivers show us this unity that is the future. 2008 by Vikki Hanchin. all rights reserved. Photography by Larry Rippel. First published in Point of Light Magazine, March 2008. The International Council of Thirteen Indigenous Grandmothers came together three years ago as the fulfillment of a shared prophecy among female spiritual leaders. Since then they've been traveling the world, praying and offering home-grown advice. MARIN COUNTY, Calif. (WOMENSENEWS)--They come from the Amazon, the Arctic Circle, Asia, Africa, Mexico and the Northwest, Southwest and Midwest sections of North America. They are 13 women, ranging from their 50s to their 80s, with dozens of grandchildren among them. In their villages, towns and cities they are spiritual activists, medicine women, tribal elders and advocates for sustaining indigenous ways of life. As individuals each is recognized for her work to preserve her indigenous culture. One advises the president of Gabon on governmental affairs. Another helped found the Tibetan Women's Association, which has 47 branches worldwide, to raise public awareness of the abuses faced by Tibetan women under Chinese rule. Together, they form the International Council of Thirteen Indigenous Grandmothers with headquarters at the Center for Sacred Studies in Sonora, Calif.
Their purpose is to offer the world an increasingly scarce resource: earthly wisdom and prayer. One grandmother--a Mayan elder named Flordemayo--spoke to Women's eNews recently on the phone about a typically grandmotherly topic: a proper diet. "We are losing the way of understanding nature and that processed food doesn't have light," she said. "If we are going to eat anything it should be intact. It should have the optimum amount of light so it is healthy for us to nourish the body and the spirit." Flordemayo was born on the Nicaragua-Honduras border and is now a healer living in New Mexico, where she founded the Institute of Natural and Traditional Knowledge. On the grandmothers' council she is entrusted as the "seed carrier," who oversees the exchange of seeds among the women and spreads the word about the importance of raising and nourishing seeds, plants and animals organically. Twice a year the council gathers in one of their homelands to discuss such environmental threats as the melting of the Arctic glaciers; the right of those in the Amazon rain forest to grow and use traditional medicines; the risks associated with arsenic in water; the unemployment, suicide and drug problems that affect Native Americans; the contaminated water in developing countries. Then they pray. "They are not women of politics but women of prayer," said Jeneane Prevatt, a Cherokee spiritual leader with the Center for Sacred Studies. "They want their homes to be OK. They want good air, good water, and they want to live where families can take care of each other. They are realizing our Western world is living in a disassociated manner." "The International Council was born within a framework that is purely spiritual," said Bernadette Rebienot, a Bwiti elder and grandmother of 23 from Gabon, through a translator. Next July the grandmothers plan to meet in Rebienot's homeland. With their costs paid by private donations they are trying to raise about $225,000 for the trip. Prevatt says the idea for the grandmothers' council arrived in the form of a prophecy. A woman came to her in a vision saying, "I am going to hand you my basket. In it are some of my most precious jewels. They are lines of prayer that go back to the original time. You are not to mix them or change them. You are to protect them and keep them safe. Bring them through the door of the millennium and hand them back to me, for I have something I am going to do." At the same time, Prevatt says others at the Center for Sacred Studies and elsewhere also received messages that said, "When the grandmothers speak the door to unity will open to us all." Prevatt--who prefers to be addressed as Jyoti--went to Gabon to study with Rebienot, where they discovered they had a shared vision of the grandmothers, and then began to organize the group in earnest. Documentary makers have filmed the group since their start in 2004 and hope, with enough funding, to release next year "For the Next 7 Generations: The Grandmothers Speak." Last year, author Carol Schaefer published "Grandmothers Counsel the World: Women Elders Offer Their Vision for Our Planet" about the group of women. "There are so many people who are waiting and really looking for this kind of wisdom because they already have some wisdom, some teaching from their own grandmother," said Schaefer in a telephone interview from her home in New York. Part of the group, already in Brazil for their 2005 biannual prayer meeting, journeyed to the Amazon River to pray for and support residents of the rain forest who want to preserve the right to grow and use traditional medicines essential to their lifestyle. 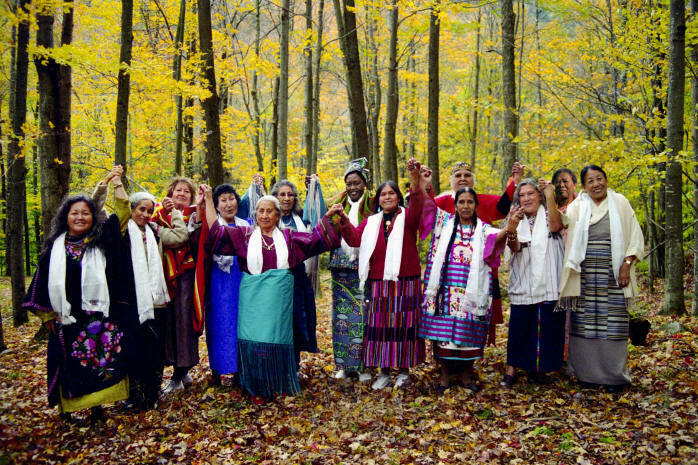 In fact, since their formation in 2004 at Tibet House's Menla Mountain Retreat in upstate New York, the grandmothers have convened and led talks and prayers in Pojoaque, N.M; the Brazilian Amazon; Oaxaca, Mexico; Dharamsala, India and the Black Hills of South Dakota. Most recently, the grandmothers addressed the Bioneers conference, held in San Rafael, Calif. Bioneers, a diverse group--scientists, artists, gardeners, economists, political activists, public servants, architects, ecologists, farmers, shamans, policymakers and journalists--share ideas about how to save the earth. They are particularly concerned with preserving biological and cultural diversity, traditional farming practices and environmental restoration in California's Marin County. Supporters of the International Council of Thirteen Indigenous Grandmothers say they met last year in private in India with the Buddhist leader the Dalai Lama, who advised the grandmothers to turn their "prayer into action." But at the Bioneers conference the grandmothers stuck to giving advice. On the subject of living more harmoniously, one grandmother pointed to the importance of treating young children well. "If you grow up the first five years being loved you will later know how to love and be loved," Grandmother Margaret Behan from Lame Deer, Mont., told a crowd of 400. Behan is a dancer, author, artist and traditional healer who uses the medicine plant peyote and sweat-lodge ceremonies, a thermal bath offering relaxation, purification and healing that is practiced in some form in many cultures. She also leads workshops for adult children of alcoholics and co-dependents and is researching generational trauma. At 82, Agnes Baker Pilgrim is the oldest in the council and describes herself as the oldest Takelma Indian from southwest Oregon. As part of her spiritual activism Baker Pilgrim revived 14 years ago the ancient sacred salmon ceremony on Oregon's Rogue River and speaks out for the protection of sacred waters worldwide. "I hope everybody's got the message that prayer works," she said. "We can turn this world around." The Bioneers audience gave the grandmothers many standing ovations and begged them to pose for pictures. Rita Pitka Blumenstein, who introduces herself as a Yupik tribe elder, talked to one group of Bioneers about the connections between self-knowledge, generosity and taking care of the environment. "Elders used to tell us, 'When you know yourself--share. Nothing belongs to you, it belongs to the universe.' So you figure that out," she said with a laugh. "Study yourself and if you become happy then those around you will become happy. That's medicine." Kristin Bender is a newspaper reporter at the Oakland Tribune in Oakland, Calif., and a freelance writer. She has fond memories of her own late grandmother, Rita Bender Lehman. The Mayan culture is very rich in spiritual wisdom memorialized in pictures carved in stone. Mystical symbols were crafted in mural relief on the walls and grounds of magnificent Temples towering out of the jungle all over Central America. The Maya are venerated for the way they lived and built with nature. Some of their architectural wonders cannot be duplicated today. One of these structures is the Temple of Quetzal Coatl or Kul Kum Kan at Chichen Itza, Yucatan, Mexico. It is here that each spring equinox a pattern of 7 triangles of light and 6 triangles of dark appear on the grand stairway. At the very Center of Classical (3115BC) and then Post Classic Mayan culture (600BC) is the traditional belief in the person and mission of The Plumed Serpent or Quetzal Coatl. The mythical symbol of the Plumed Serpent embodies the highest aspirations of mankind. The Vision Serpent is seen as the consciousness of Quetzal Coatl coming to visit mankind to deliver wisdom and new understandings. The Vision Serpent is a Dragon with mouth very wide open. From the mouth a man is appearing. This symbolizes the vision / message / inspiration being delivered by the Plumed Serpent's consciousness, can now be recognized by humankind and so become part of our consciousness as well. Thus the evolution of consciousness continues. The Plumed Serpent is known by the Maya to represent the flow of Creation. Quetzal Coatl when he came as a man to the Maya and Toltec people could be compared to Jesus in our own culture as he stood for equal treatment of all and the recognition that spirit is senior to physical in all respects. He also called for the end of human sacrifice. That demand was the reason that the high priests of the time banished Quetzal Coatl out of his city of Tula and out of all Maya lands. He warned the priests and the people that he would return on the Day Reed 1 in the Year Reed 1 on the Mayan calendar. Editors note: The Mayans accepted Christianity well because of the sacrifice of Jesus - God's son - just like their own sacrifices of people they had been doing. 1. Vision serpent. In all ancient cultures serpents and dragons were seen as bearers of great wisdom. Quetzal Coatl was not just a man who the Maya worshiped. It was a concept of the pursuit of wisdom on the part of anyone or everyone. When wisdom does arrive it comes from the mouth of the Vision Serpent. The messages travel in a wave or vibe rational form symbolized by the movement of the serpent. All is vibration. All is motion. 2. Pattern of 6 triangles. Each of these represents a period of 394 years on the Gregorian calendar. It is a "Night" or period of rest on the part of Creation according to the Mayan sacred calendar. These are the same dark triangles that can be seen appearing on the serpent stairway of the Temple of Quetzal Coatl at Chichen Itza each Spring Equinox. Triangles represent the sacred geometry of Creation, the proportion of 1/3rd to 2/3rds in everything. Past, present and future, Man, Woman and child, the proportions of all your body's joints in the skeleton and water (H2O) as a few examples. 4. The Oval Spots. These mark the High Noon of the "Days" in Creation's wave like motion. These are known pivot points in time where and when consciousness changes direction. The most recent of these events was Sept.30th 2001. Consciousness was surely changing direction right then wasn't it? 5. The Feathery Scales on the Stem. This describes the undulating path of the flight of the Plumed Serpent. His movement through time and Creation is propelled by the quaking of his feathers that could be seen as the astrological movements of planets and stars. It was the study of this movement that the Maya shaman dedicated their lives. By working with the energy and direction of Creation they would be rewarded with a bountiful existence. This bounty is symbolized by the ear of maize or corn that floats among the flow of the feathers. 6. The Four Crosshatched Areas at the Mouth of the Pipe Stem. When you see an X in Mayan writing it means to make something manifest or make something happen. When you see a field of these Xs, it means all potential manifestations or the Void where nothing yet exists but all potential dwells. When there are four of these areas arranged in a clover type pattern this mean the fourth dimension or the existence of time. It is through such a time portal that you may draw inspiration from the void. So draw away my friends. Infuse yourself with the wisdom from the movement of Creation as Quetzal Coatl. 7. The Cleansing Staff. This tool to clean the pipes air passage has the figure of one of the Creation Gods of the Maya carved on it. He is offering you a good time with his hand positions. Frankincense of the Western Hemisphere. Primarily fire and water elements though can also be used as for four-element general purposes. When burned, the scent is sweet, resinous, slightly woody, mildly earthy and spicy. Was a holy incense used by the peoples of Mesoamerica. The resin contains aromatic chemicals called terpenes. Used by Mayan shamans prior to ingesting mushrooms. 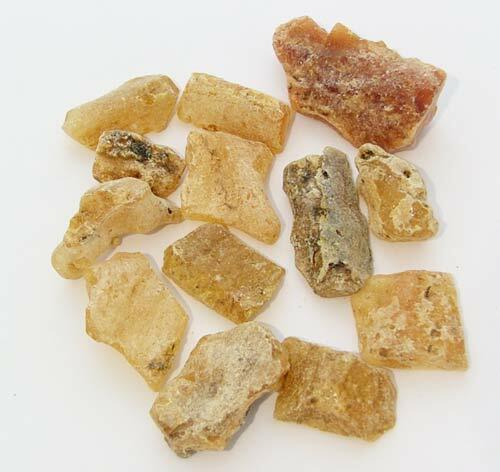 Copal resin is traditionally burned in protection, cleansing and purification ceremonies. The dried resin, when burned, emits an fragrance akin to frankincense but with a lighter, more citrusy tone. Copal: Purification; consecration; contact with other planes; exorcism; spells. Spiritual significance is found in all living things. The Maya revere each animal and plant. One tree - the ceiba or cottonwood tree - holds special significance as the Maya use it as a symbol of the power of nature. Symbolically, the branches hold up the sky and the roots keep the earth together. 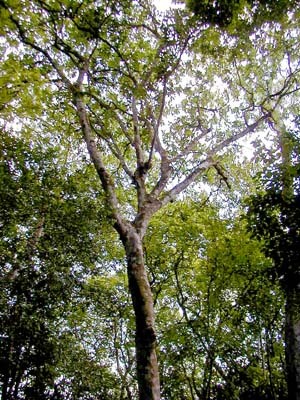 The copal tree is sacred as well, as it produces the resin and the bark that are burned in censers during spiritual ceremonies. The herbs and traditions come from the Rainforest in Belize, Central America. Belize is located on the eastern tip of the Yucatan Peninsula, just east of Guatemala and south of Mexico. Many of the natives of this beautiful tropical area are descendants of the Maya. a complex and powerful people who inhabited the area around 900 C.E. The Mayan culture included the medicinal uses of a variety of plants in the area . Unfortunately much of the Mayan ethnobotany is being lost as the accumulated wisdom of generations not being passed down to a new generation. As a native Marigold of Mexico and Guatemala, T. lucida is well known by the locals as a substitute for Tarragon (Artemisia dracunculus), and as such is used in teas, vinegars and dishes. 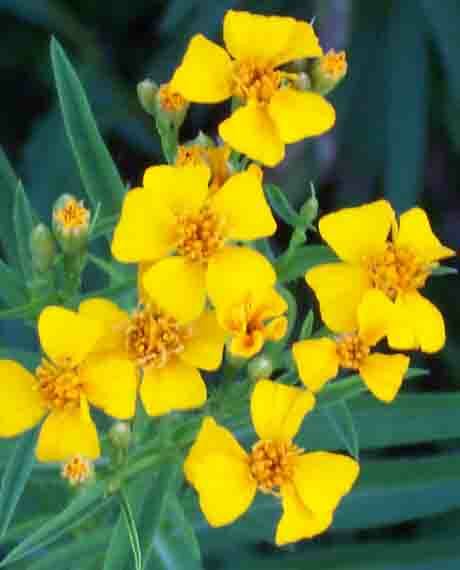 The Zapotecs use Tagetes as a primary herb in purification rituals. The plant is popular with the Tarahumara Indians of Chihuahua and is used by the modern Huichol Indians in their religious Peyote rituals. Smoked, the plant is said to enhance closed-eye visions. The botanical genus name Tagetes is in reference to a Roman deity, Tages which, probably, was originally an Etruscan god of prophecy. The species name lucidus means "bright", or "light". In Mexico, it is traditionally used as a tea but also as a flavoring for soups, sauces, chicken dishes, etc. and harsh Turkish tobaccos. A strong Tagetes Lucida tea is said to produce similar but milder effects than those of Peyote and has been used since pre-Hispanic times with many of its properties ascribed to this plant, known as Yauhtli in the Nahuatl language. The leaves were an important flavouring of "Chocolatl", the foaming Cocoa-based drink of the Aztec. From the Marigold genus, this perennial herb grows 30-80cm tall. It is native to Mexico and Guatemala. It was used to flavour the foaming, chocolate drink of the Aztecs and is reputedly hallucinogenic and anaesthetic. Dried leaves and flower tops make a popular tea in Latin America. Dried plant is burned as incense and to repel insects. It is smoked together with Nicotiana rustica or alone to induce visions. It is often smoked along with the consumption of alcoholic beverages to enhance its effects. Care and cultivation Sow seeds in a well drained potting mix in full sun. Cover seeds just enough to weigh them down and keep warm until germination in 1-2 weeks. Separate when seedlings are large enough and plant in a full sun position. 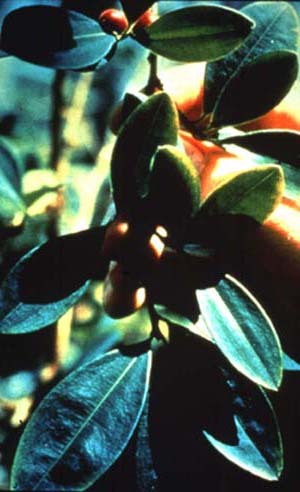 The leaves of Erythryoxylon coca, from which cocaine is obtained, were used by the Incas at least 1,000 years ago. The annual consumption of coca leaf in South America (mainly Bolivia and Peru) by about twenty million users amounts to about 150,000 pounds of cocaine. They chew their leaves with lime (CaO, etc.) which degrades cocaine to ecgonine - but this compound still relieves hunger and fatigue. Cocaine produces little effect orally, so sniffing is the preferred route of administration. Regarding its supposed aphrodisiac properties, it is interesting that one native legend ascribed the magical origin of the coca leaf to the fascination of a conqueror for the bright eyes of a princess who loved him to death. The plant grows in Australia and Africa, as well as in Western South America, and much cocaine was produced in Java. Other species of the genus seem to produce little or no cocaine. Coca-cola got its name from the coca leaf extract which it contained (as did a variety of wines) until 1904. Neither tolerance nor physical addiction to cocaine seem to occur, so sniffing it occasionally should be quite safe. Mescaline is a naturally occurring psychedelic found in several cactus species, most notably, Peyote (Lophophora williamsii) and San Pedro (Trichocereus pachanoi). 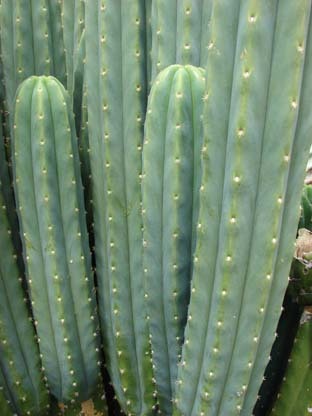 Several other members of the trichocereus family also contain mescaline. Mescaline belongs to a family of compounds known as phenethylamines, making it quite distinct from the other major psychedelics which belong to the indole family. LSD, psilocybin, harmaline, and DMT are all indoles. Many synthetic "designer" psychedelics, such as ecstasy (MDMA) and 2C-B, are phenethylamines, and are related to the chemistry of mescaline. In addition to containing mescaline, the cacti mentioned above contain a large variety of related psychoactive compounds, and will produce experiences that are qualitatively different than pure mescaline. The experience produced by Peyote is also quite distinct from that produced by cacti from the trichocereus family. T. bridgesii, T. cuzcoensis, T. fulvinanus, T. macrogonus, T. pachanoi, T. peruvianus, T. taquimbalensis, T. tersheckii, T. validus, T. werdermannius. San Pedro, considered the ‘maestro of the maestros’, enables the shaman to make a bridge between the visible and the invisible world for his people. The Quechua name for it is punku, which means ‘doorway’. The doorway connects the patient’s body to his spirit; to heal the body we must heal the spirit. San Pedro can show us the psychic causes of illness intuitively or in mythical dream language. The effects of San Pedro work through various stages, beginning with an expanded physical awareness in the body. Soon this is followed by euphoric feelings and then, after several hours, psychic and visionary effects become more noticeable. The "spirit guides of the Mayan community" deem it necessary to cleanse a sacred site of "bad spirits" so that their ancestors could rest in peace. Rites entail chanting and burning incense, herbs and candles . It was a great honor to be chosen to handle the incense, herbs, and other items used in ceremony. Dances and festivals are taken very seriously by the Maya. There is a great commitment to engaging in these cultural celebrations in an authentic manner. Each costume, mask, and the dance looks the same as it did many years ago. The spiritual essence of events has also been kept intact over the years. Rituals of blessing items associated with the dances and personal activities of those who are part of the dance, such as abstinence from intimate personal relations on the part of dance participants, is strictly followed as it has been for many generations. Spiritual activities are solemn and filled with ritual. Each generation of Maya has passed to the next the specific way that spiritual practices are to be carried out. Rituals may involve a certain order of activities, the voicing of specific prayers, and the involvement of particular people in the ceremony. Spiritual activities may last for several minutes, hours, or days, depending on the ritual that is being performed. One family, a small group, or a whole village may be included in the activities. A time of reflection or meditation may be involved as well as a period of abstinence from physical intimacy. When a structure is built, prior to the placing the main structural posts in the ground, a chicken may be killed and its blood dripped into the holes where the poles will be placed. After the structure is built the house may be "fed" once again by sprinkling blood on the rafters or main structural poles. In addition, food or drink and candles may be placed next to ceremonial masks, or blood dripped on masks, while a group prays and moves the censer back and forth over the items. The "four corners of the earth" or the earth's cardinal points are also important to the Maya; they are even associated with specific colors. The colors of blue and green are also important as they signify the sky and the environment. The four corners are important when praying; for example, a man may look to or turn to all four corners as he prays in his milpa prior to planting his corn. 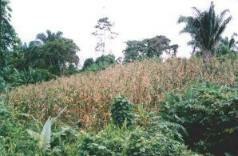 The cultivation of corn is connected ecologically, socially, and spiritually to Mayan culture. Sacred spiritual rituals specifically concerning the burning of a milpa, selection and use of seeds, and the actual planting of the corn have existed since the time of the ancient Maya. Ixchel of Fertility — As a mother goddess she was the inventor of sewing, and was portrayed as the Weaver of the World. As a wise crone she was the storm-bringer who transformed and cleansed the earth. Here she appears in her moon maiden aspect with her fecund rabbit companion. This traditional image of the highland Maya peoples of Guatemala is associated with crop (especially corn) fertility, and with safety for women during childbirth. Ixchel World-Weaver — Mayan Goddess childbirth and healing. Here she sits entranced, accompanied by her companion the nest-weaver bird, dreaming out the warp and weft of the Great Fabric of Life upon her backstrap loom. She was worshipped throughout Mayan Yucatan as the Life giving Queen. The rite of passage into womanhood required fashioning such a clay image of Ixchel, traveling to the sacred Isle of Women (Isla Mujeres), and performing a ritualistic breaking of the image in her temple there. Ixchel is identical with Spider Woman, the Creatrix worshipped widely by North American native peoples. Ixchel Crone — Storm Goddess of Healing and Transformation. Called Old Goddess with the Tiger Claws by the Mayas, she is the personification of torrential seasonal rains, which gush from her water pot. Her hurricanes cleanse the earth and permit new growth. The feathered serpent/turtle crown identifies her as patroness of fertility, goddess of the moon, and consort to Itzamna (the Sun God). She is the embodiment of power and healing which ancient cultures attributed to wise elder women.